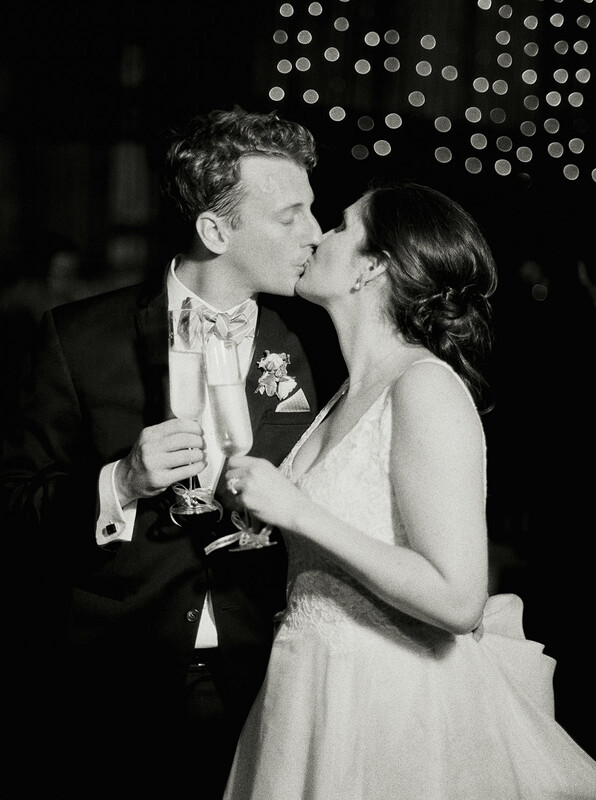 “When Patrick and I got engaged, the first big hurdle we faced was deciding where to get married — my family is in San Francisco and his is in Fairfield, Connecticut. 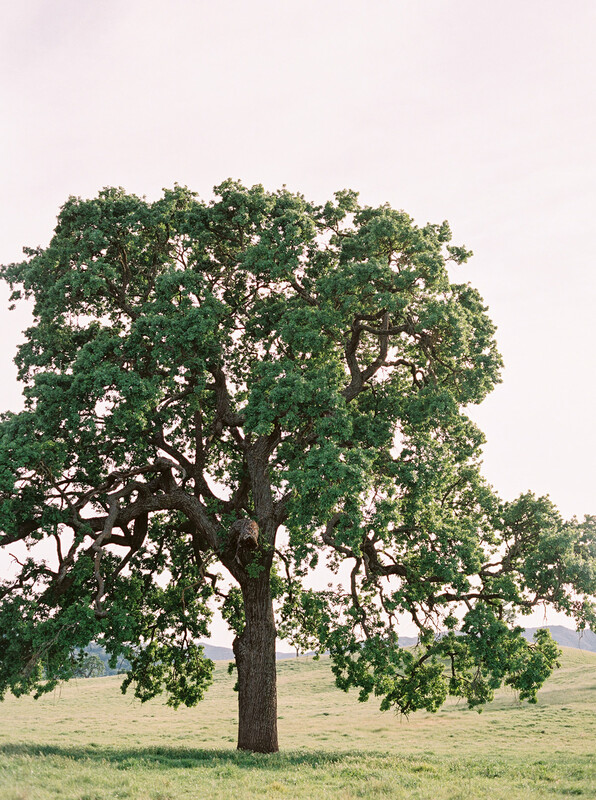 Eventually, we settled on central California, where my mom grew up. 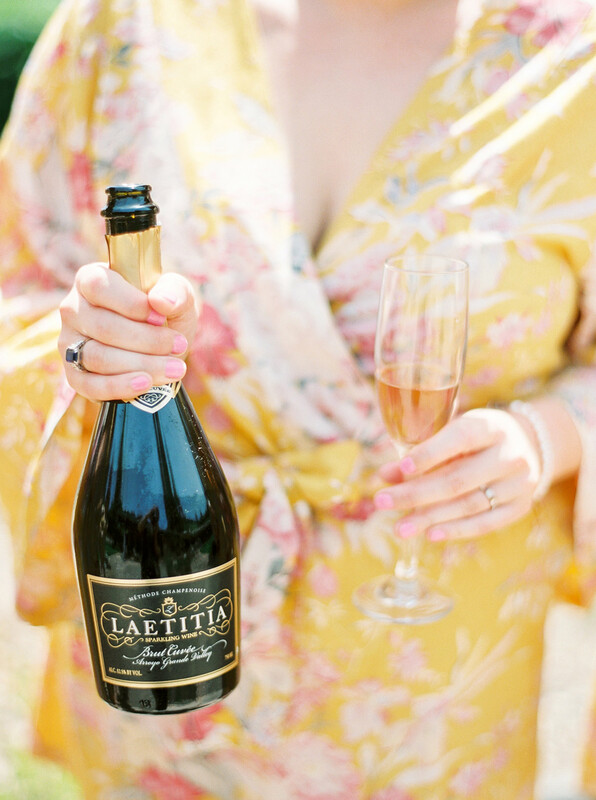 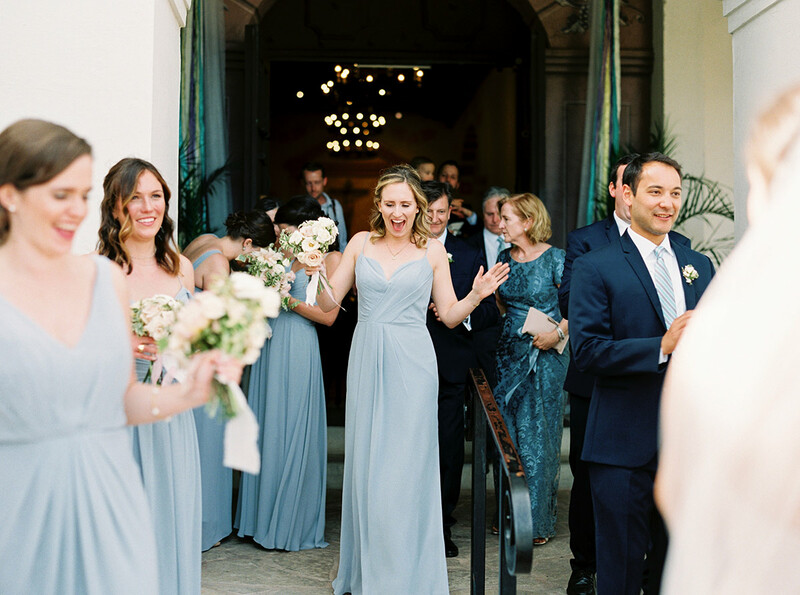 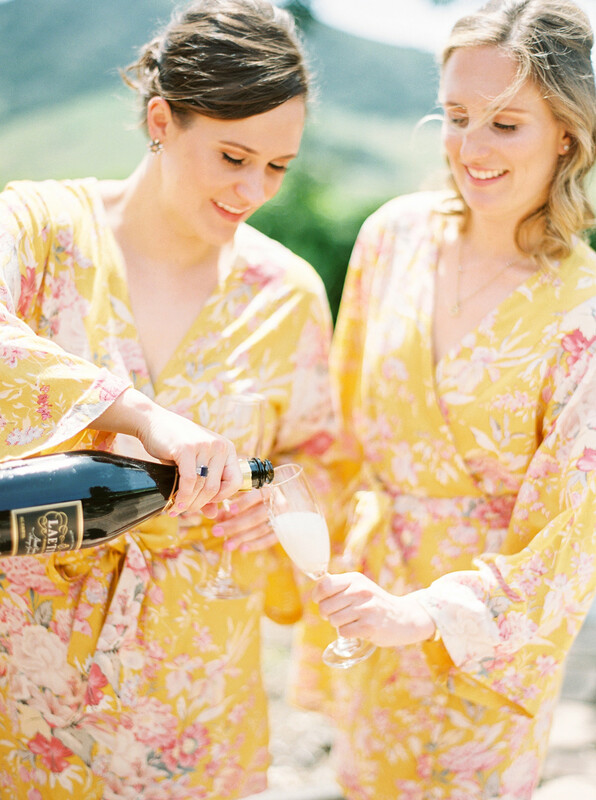 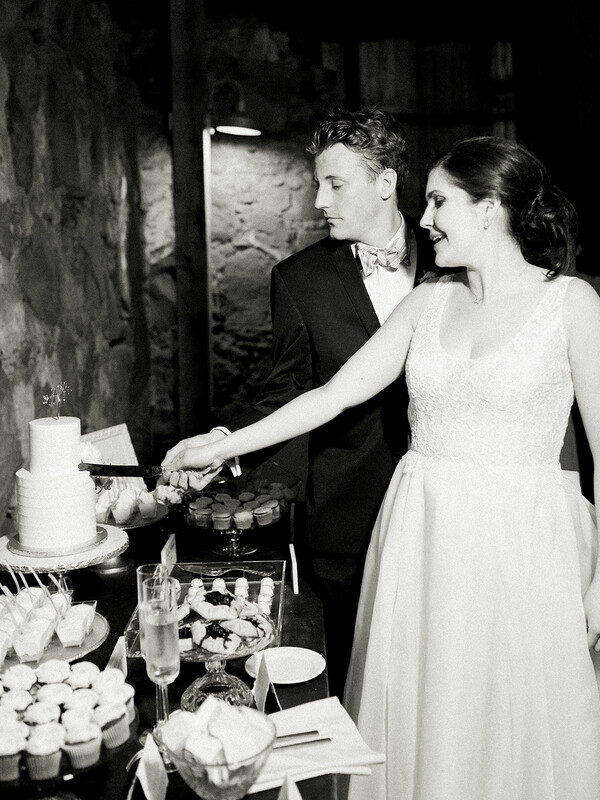 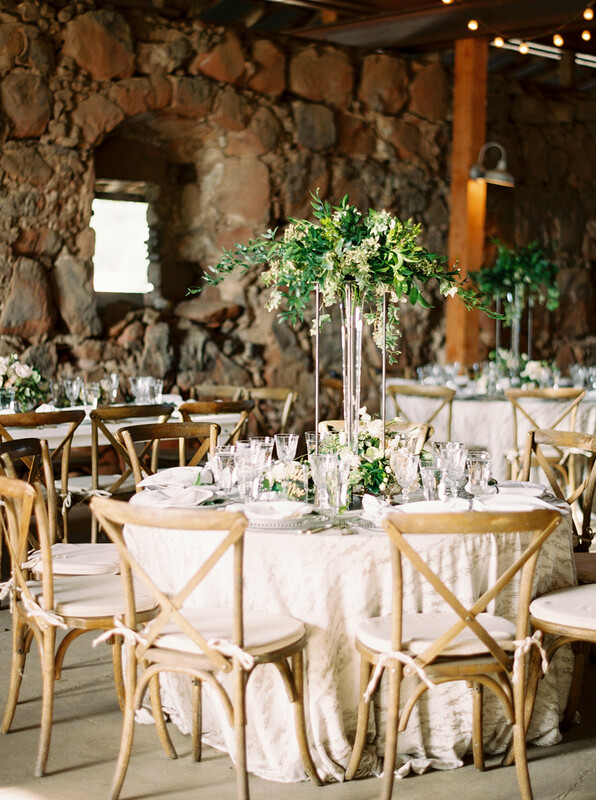 Dreaming up a West Coast wedding while based in Boston wasn’t easy, but we were lucky to have an incredible wedding planner. 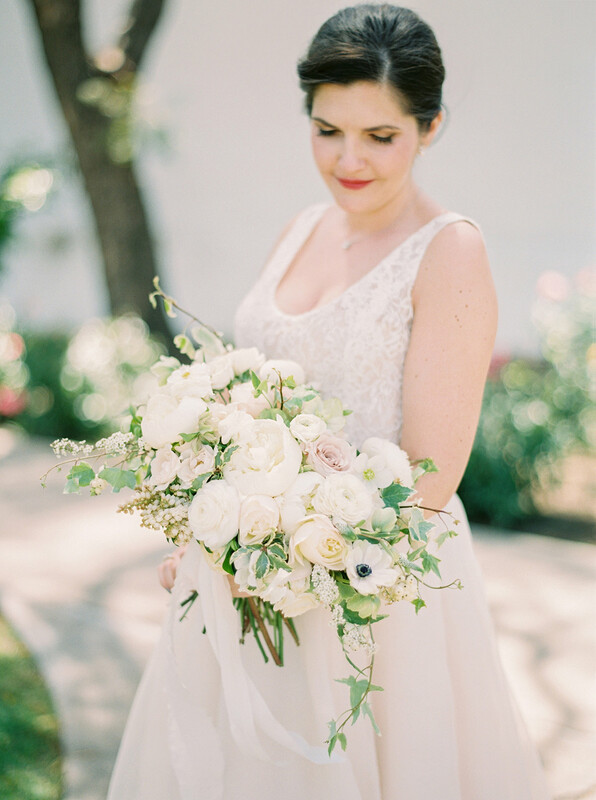 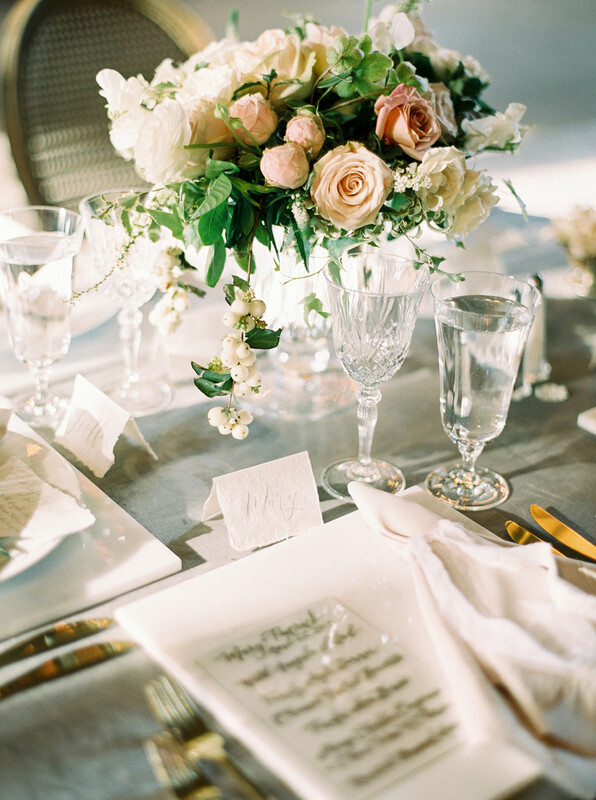 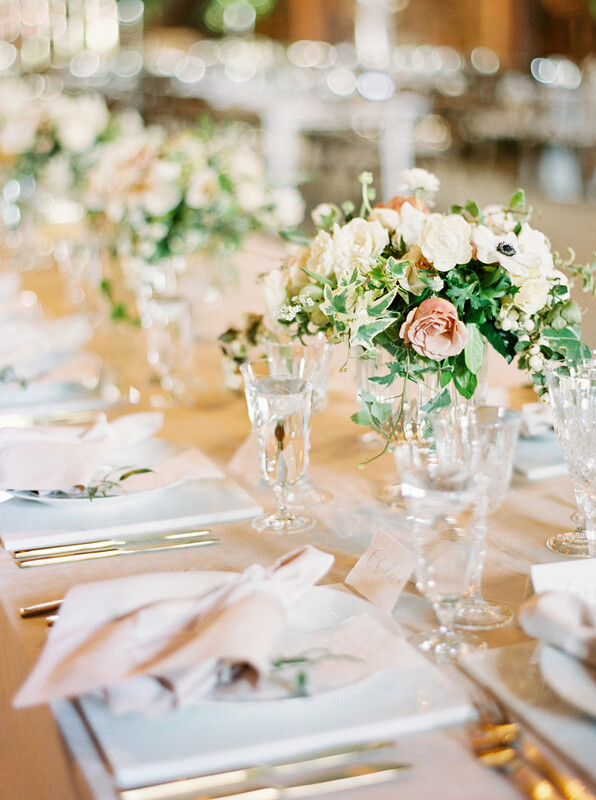 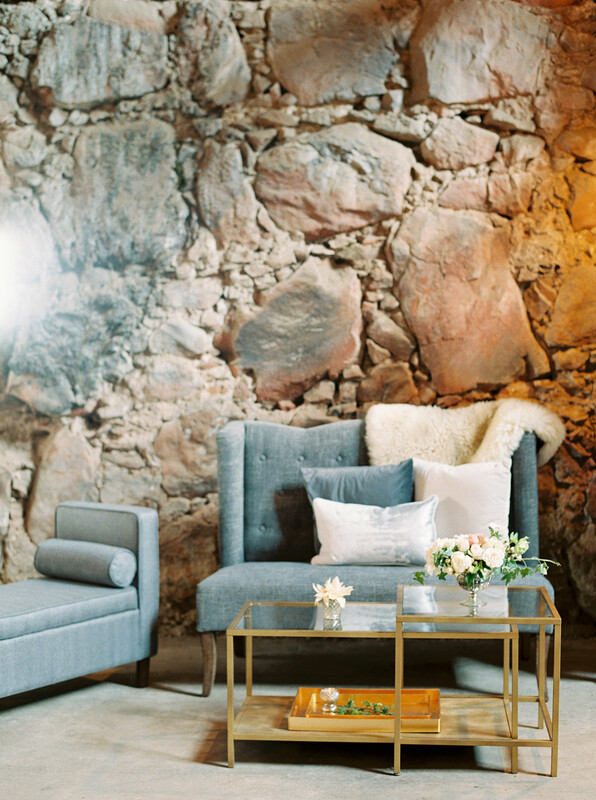 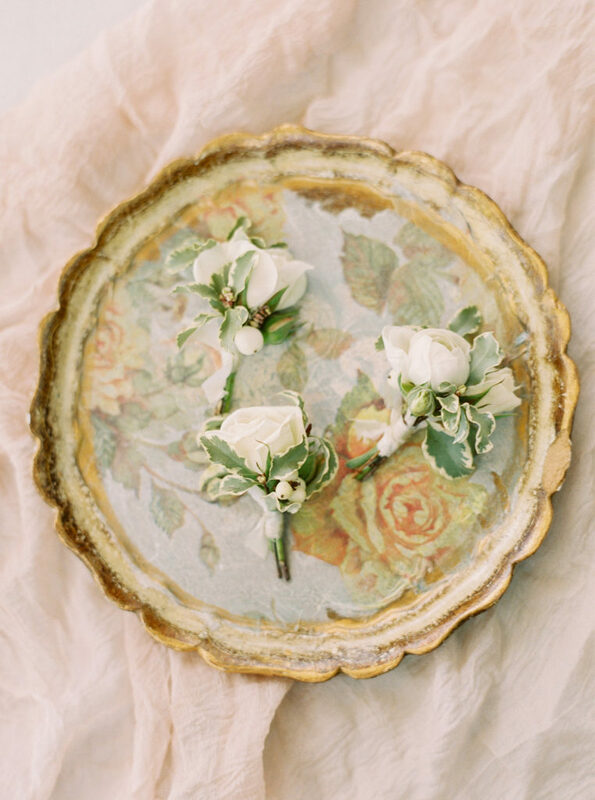 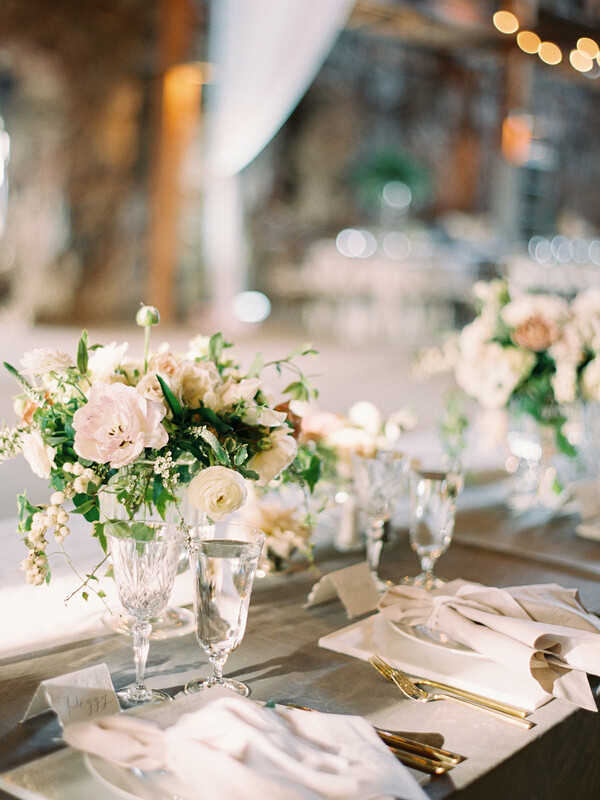 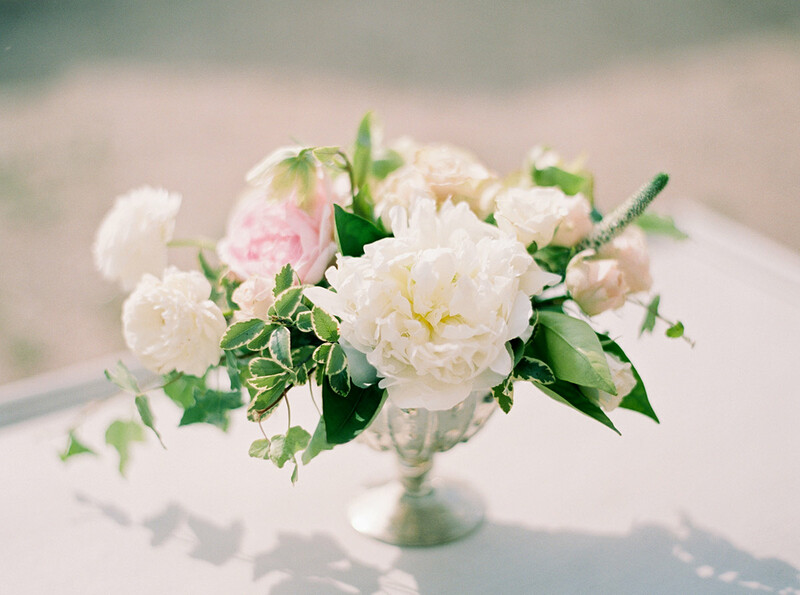 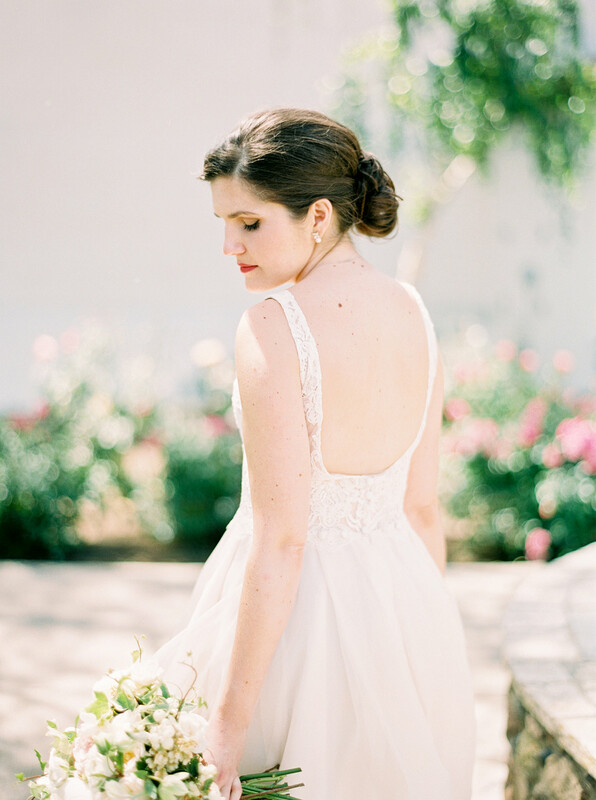 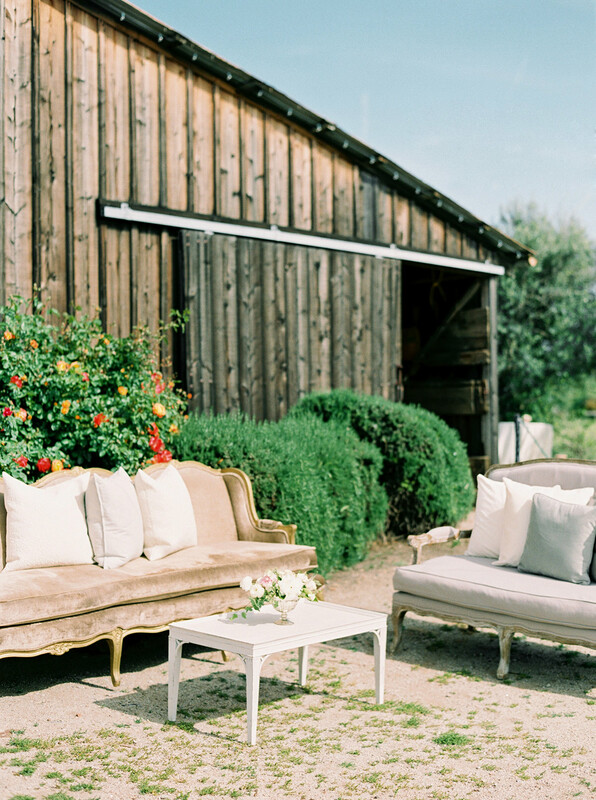 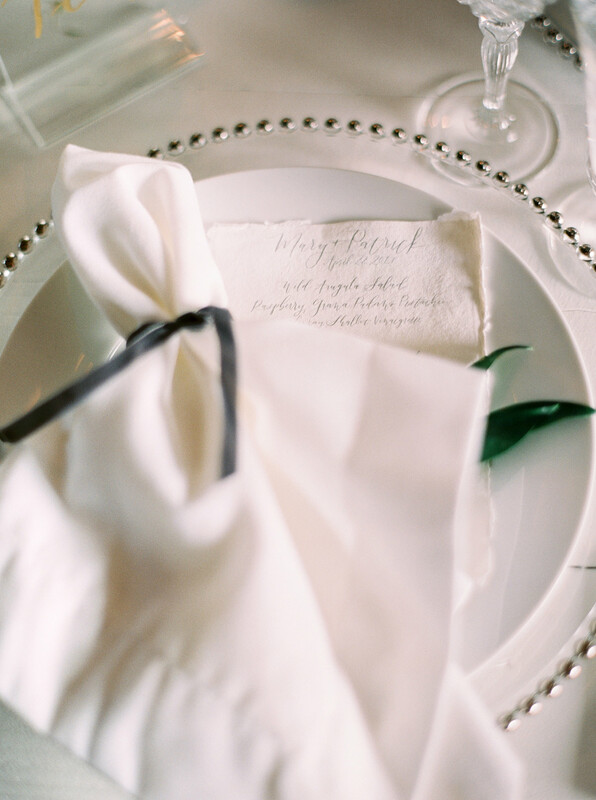 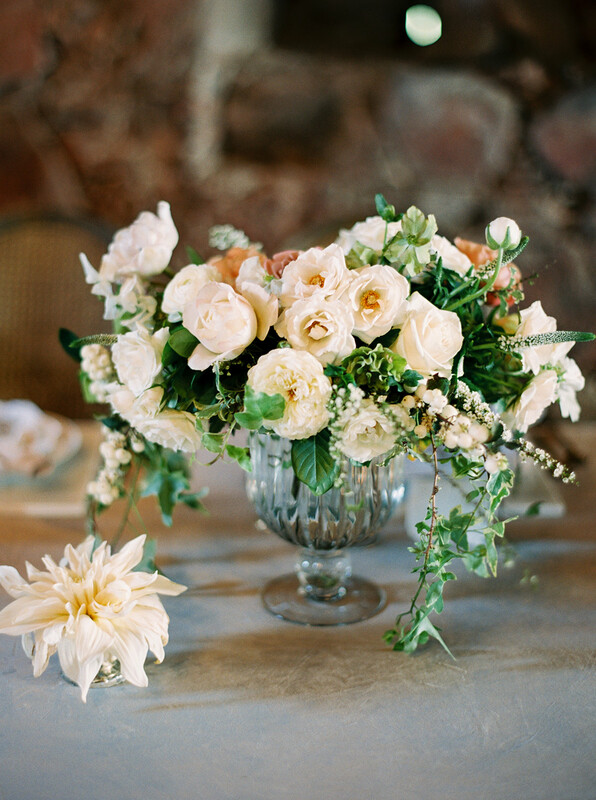 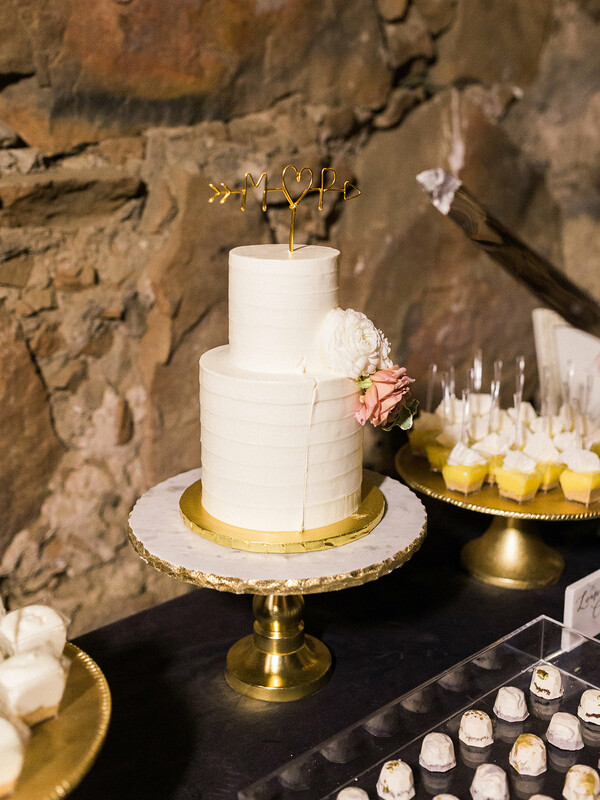 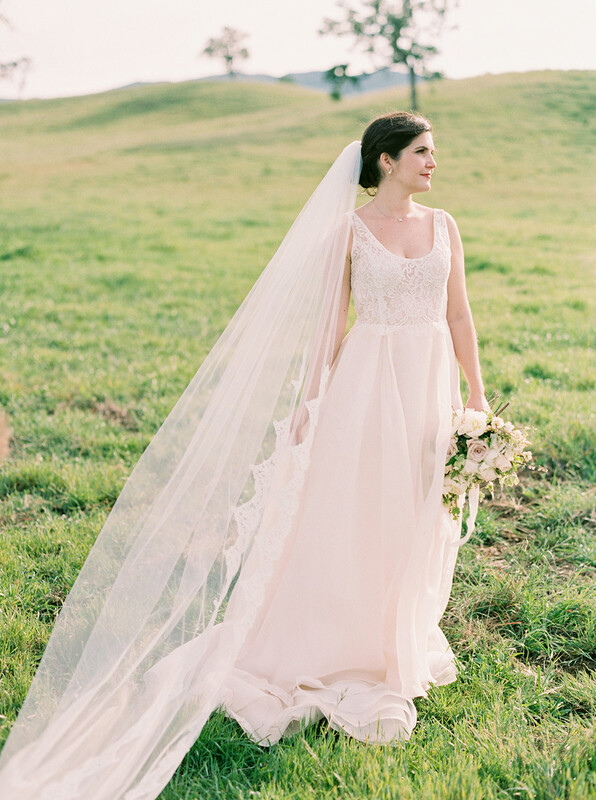 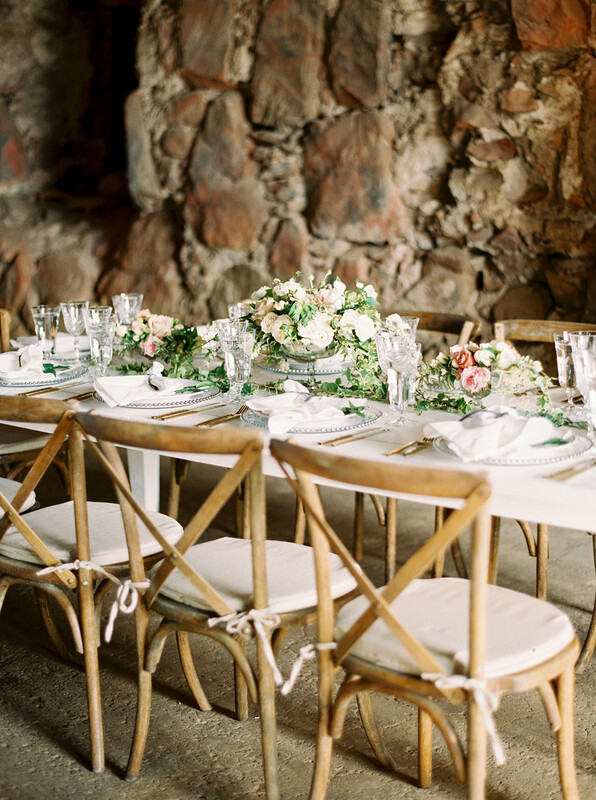 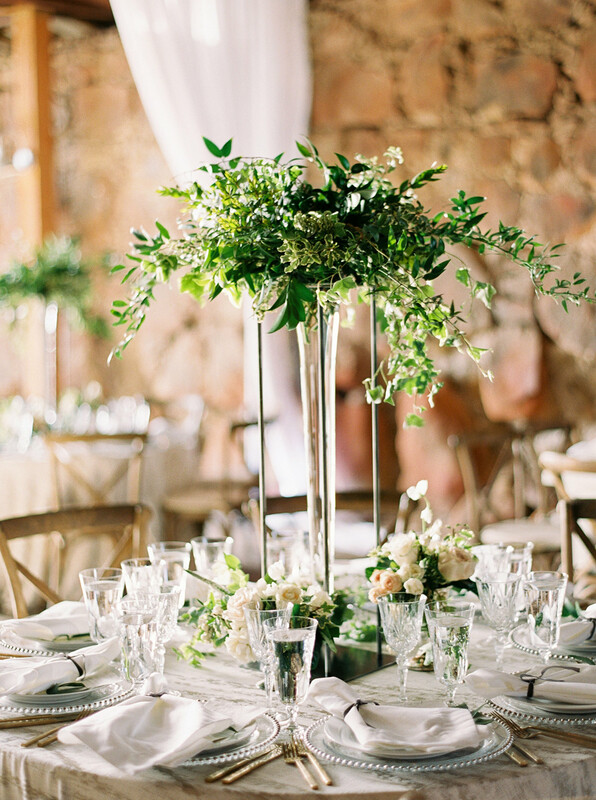 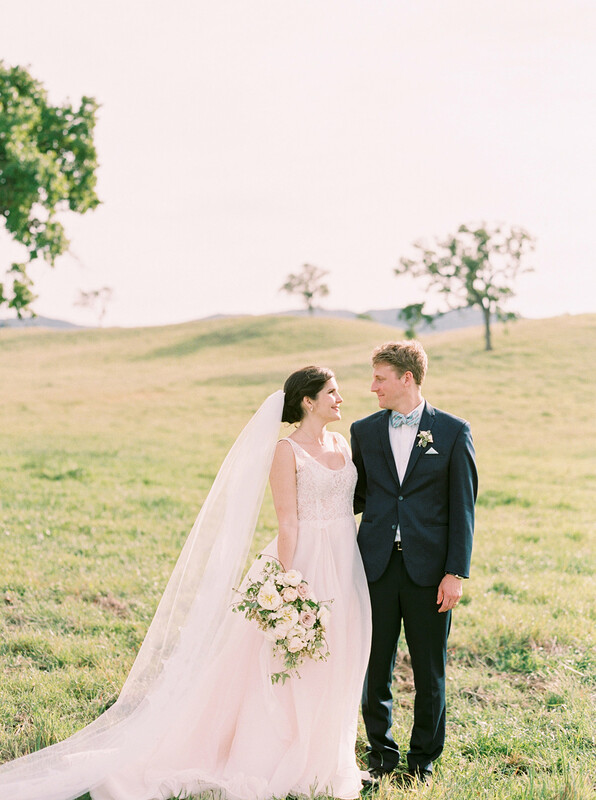 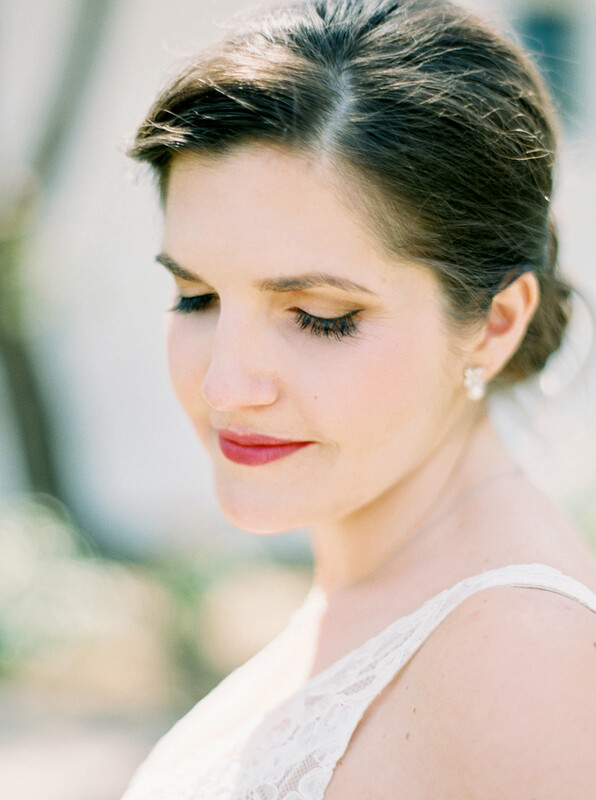 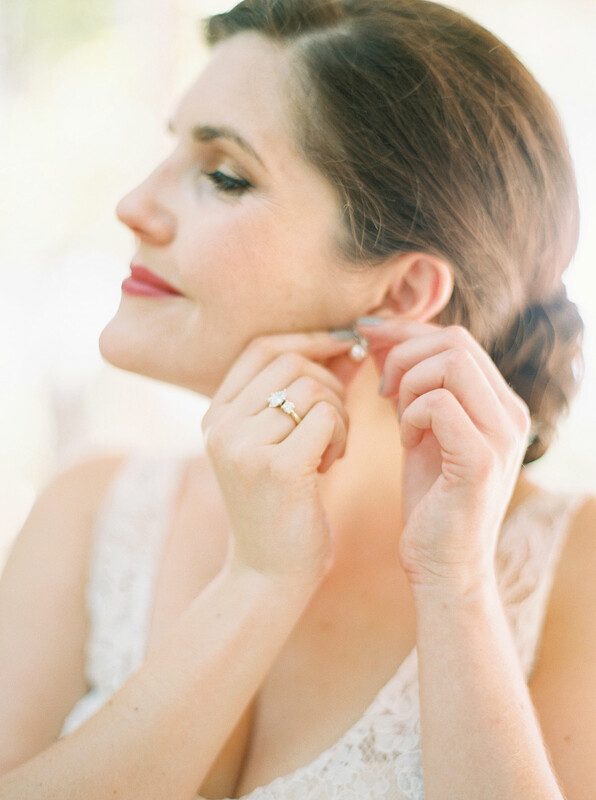 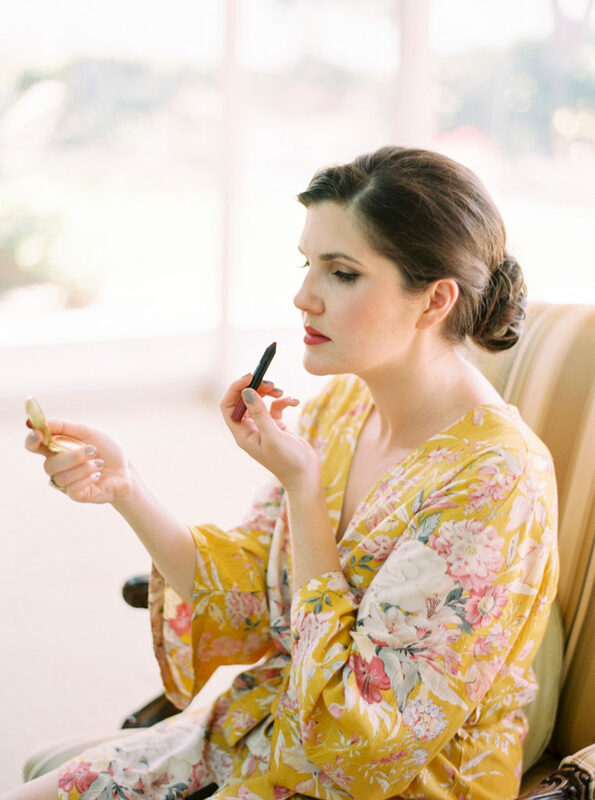 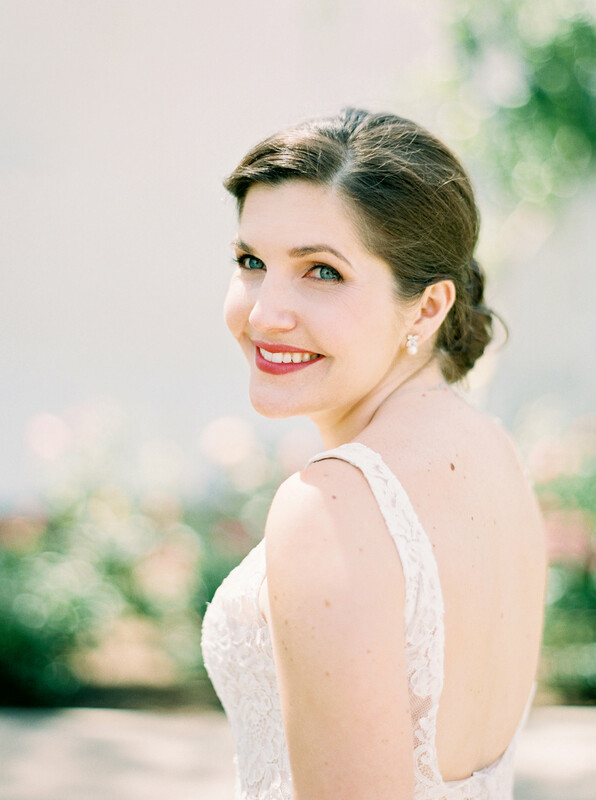 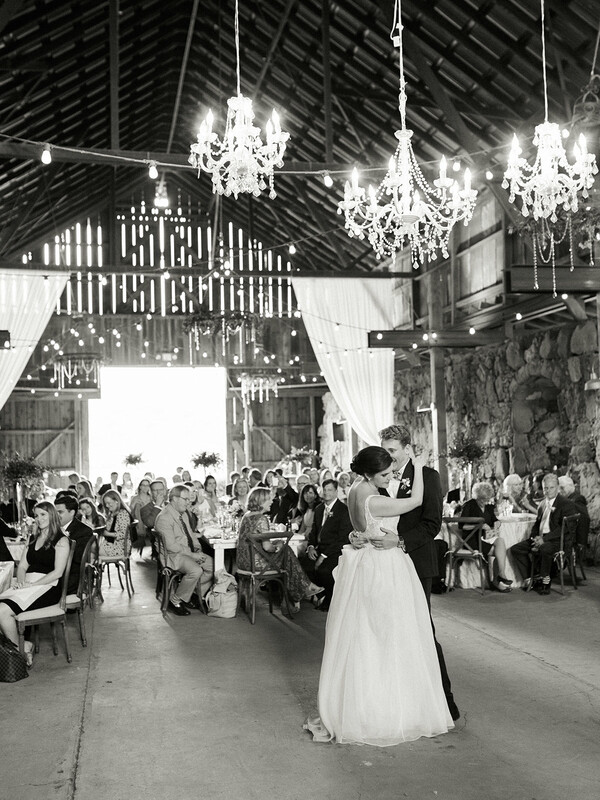 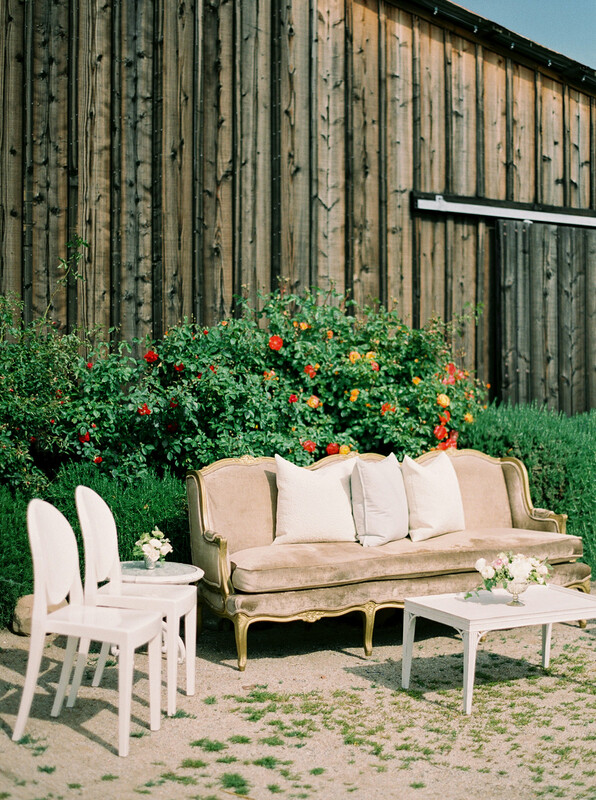 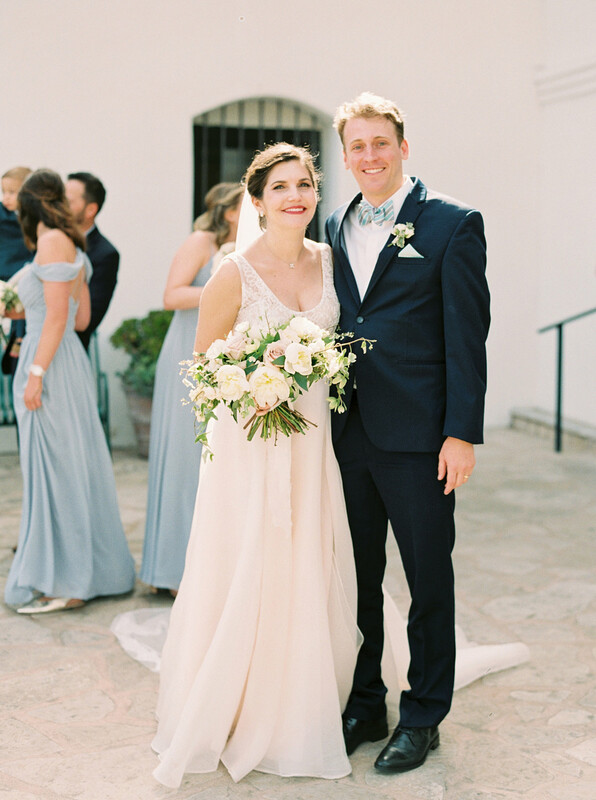 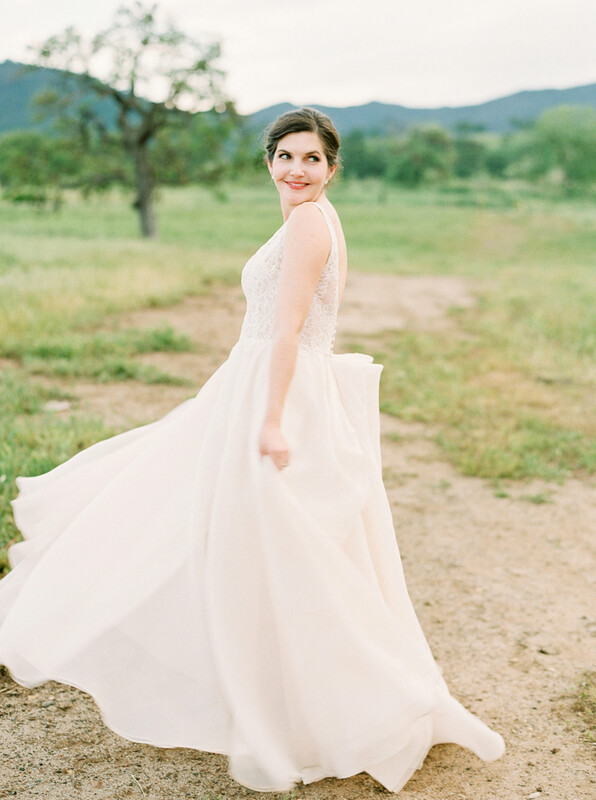 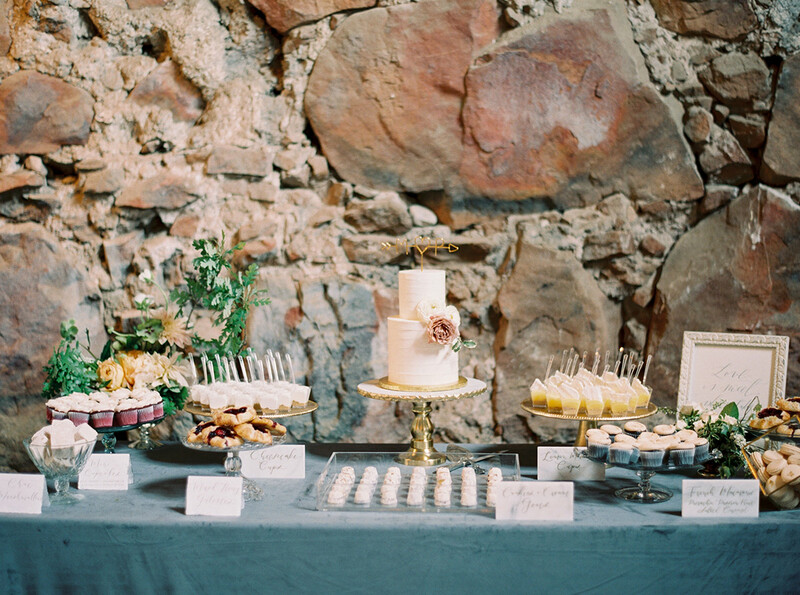 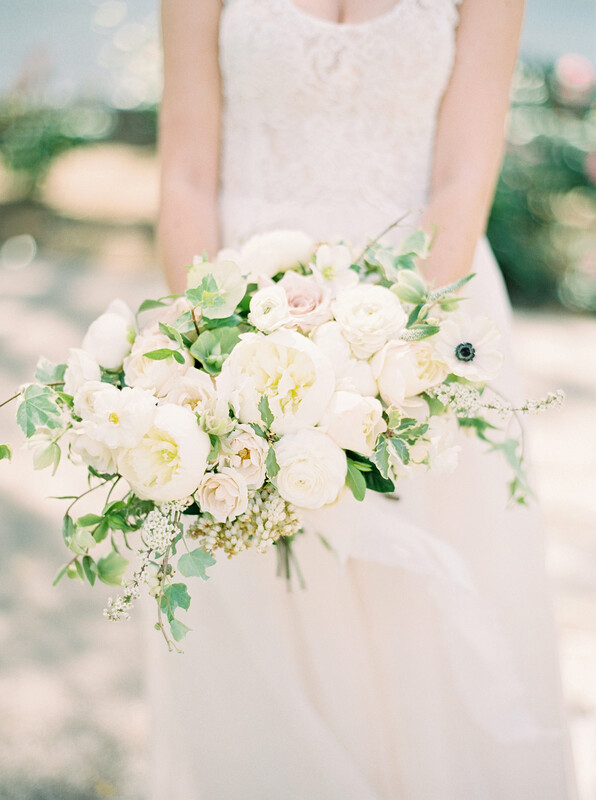 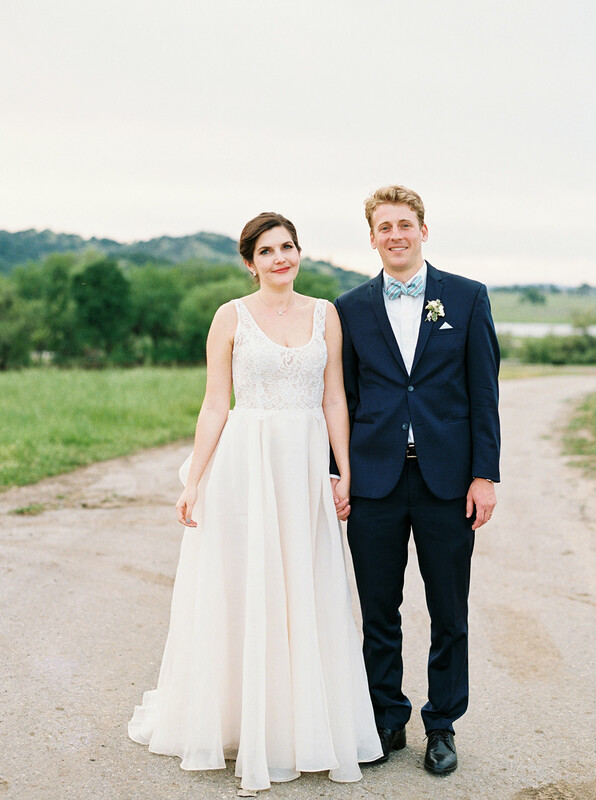 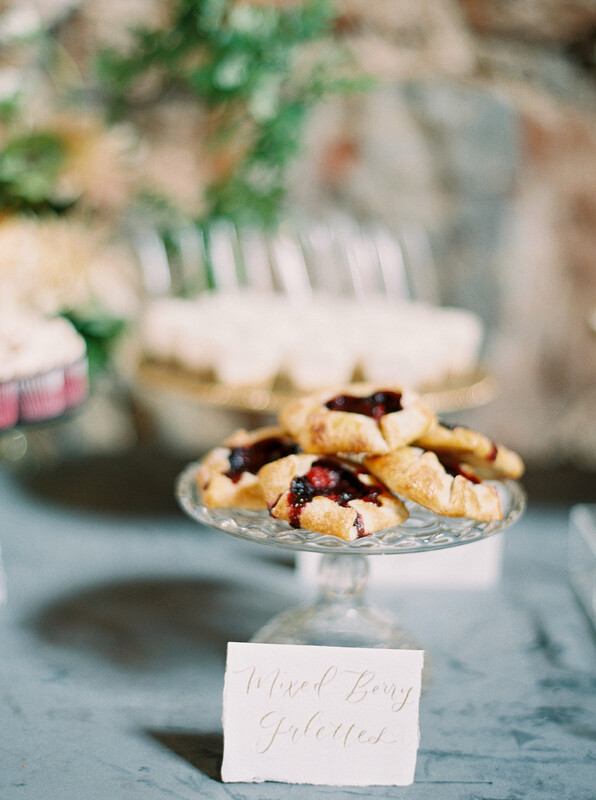 Danae Pearce’s style is so elegant and dreamy, and she made it work perfectly with our rustic setting. 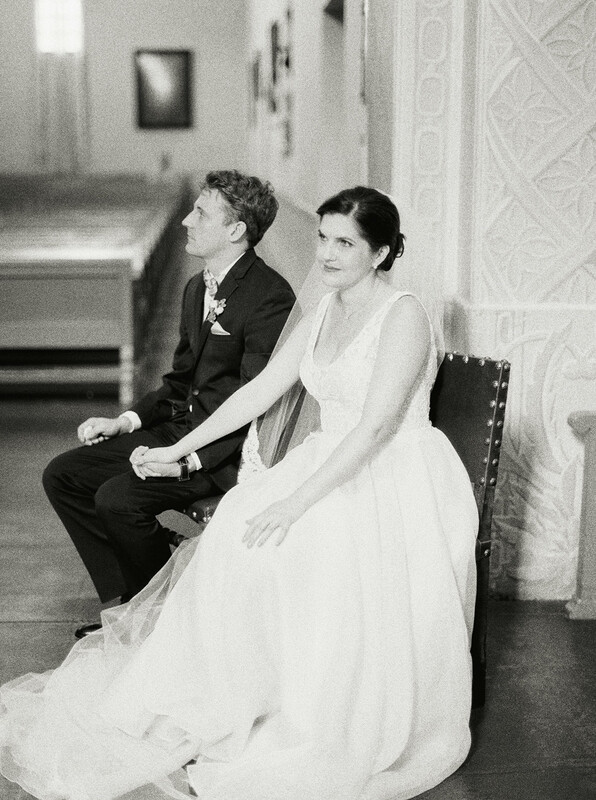 I gave Danae a pretty bare-bones sense of how I pictured the day, and I was thrilled with her vision. 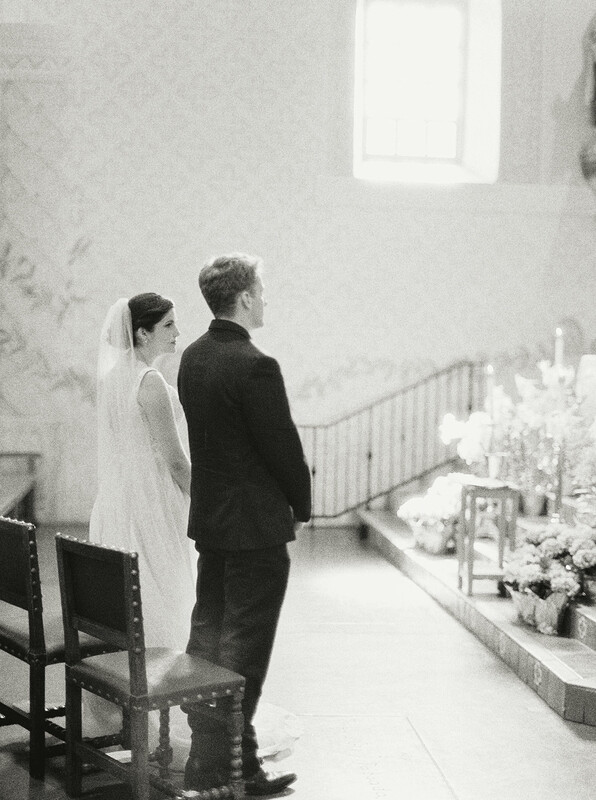 She understood exactly what I wanted and I trusted her completely. 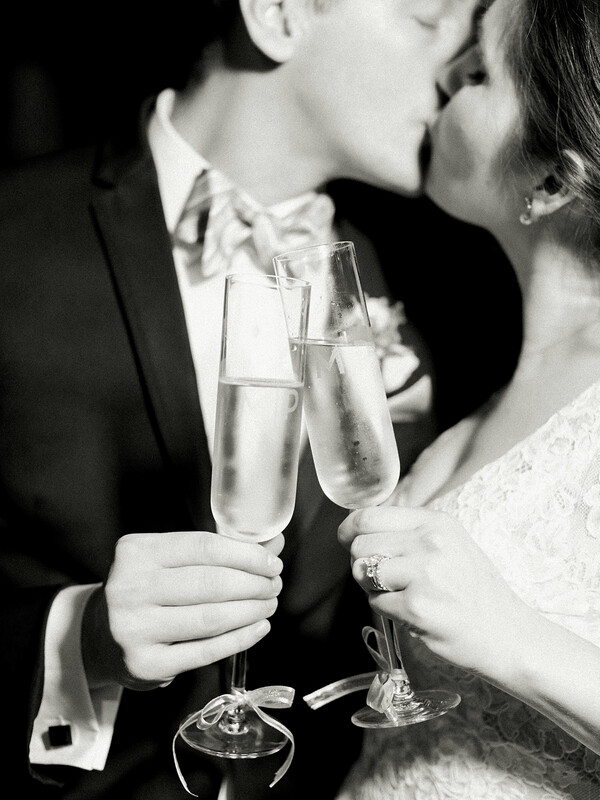 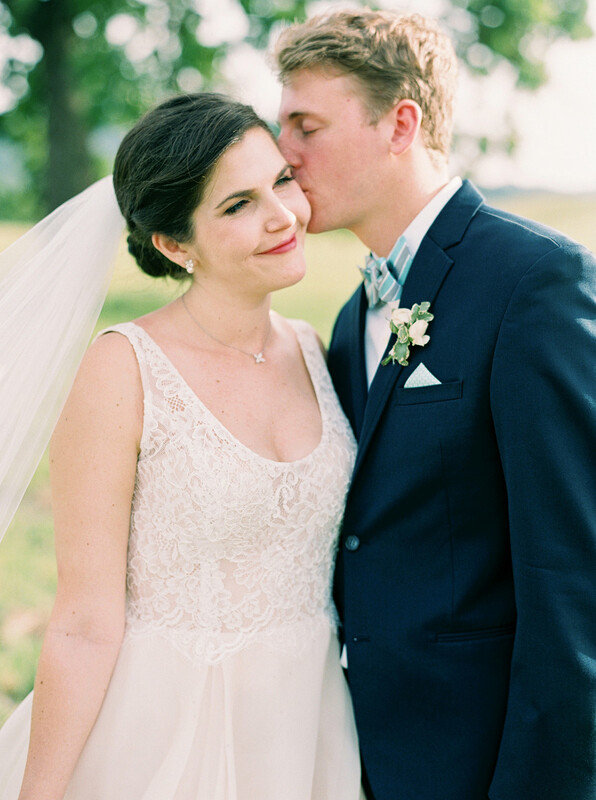 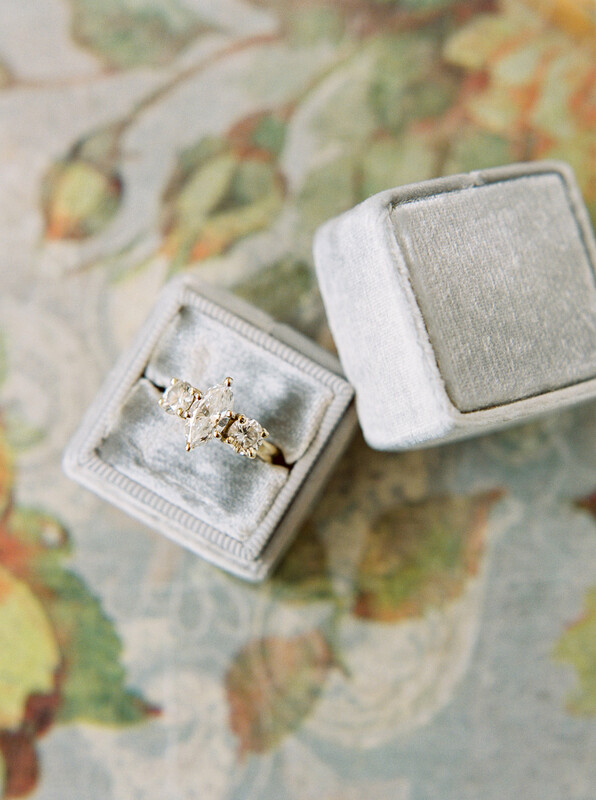 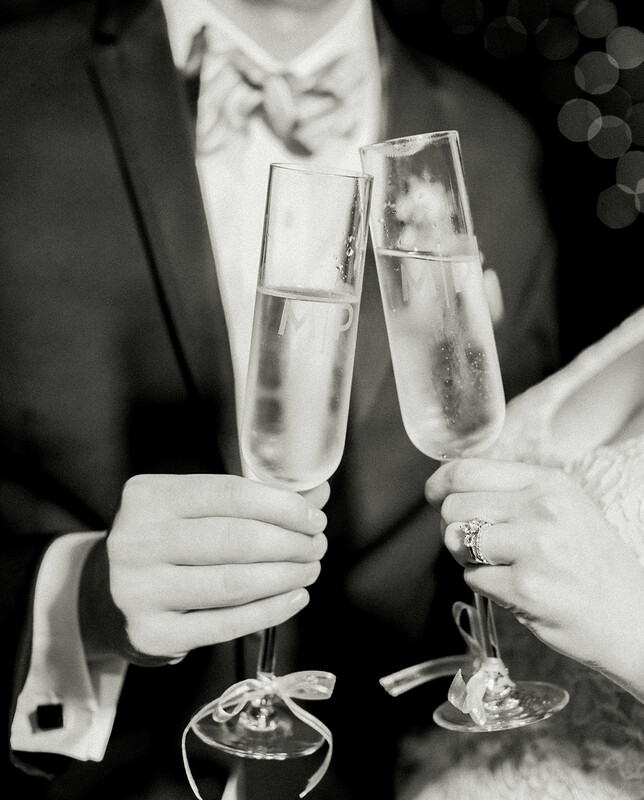 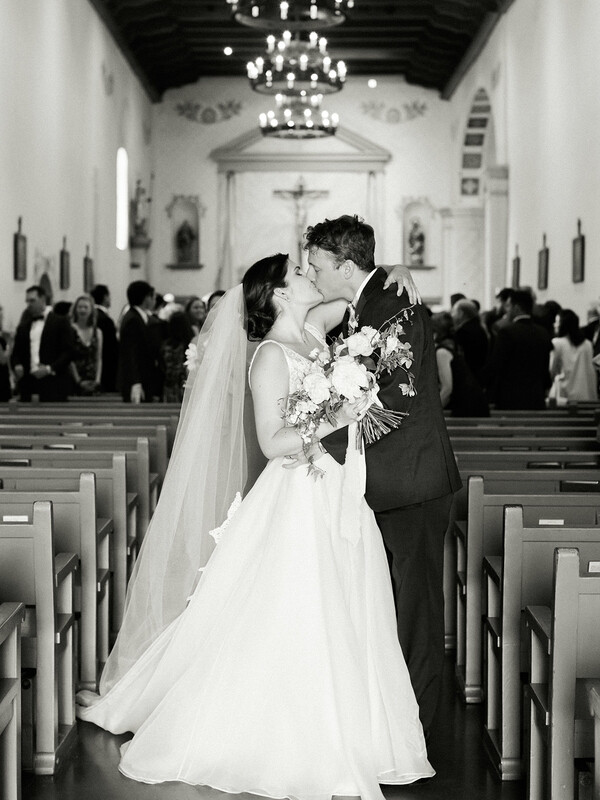 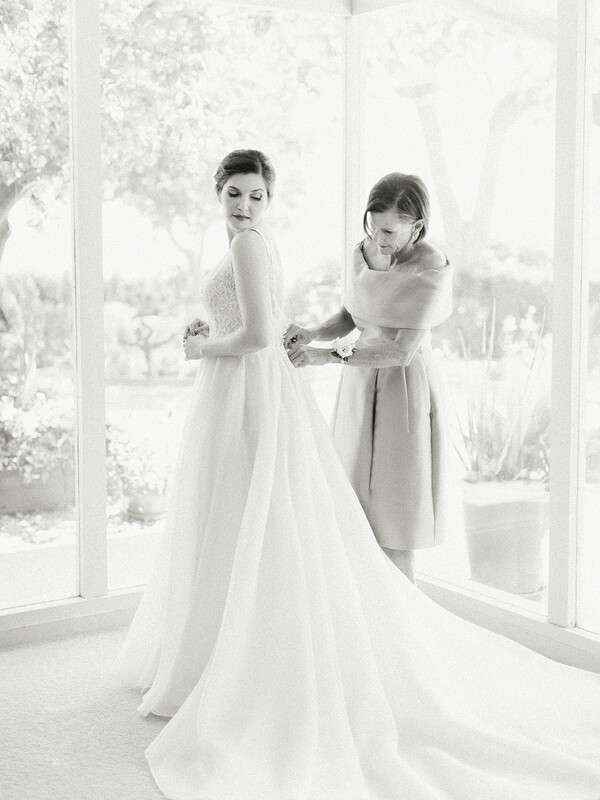 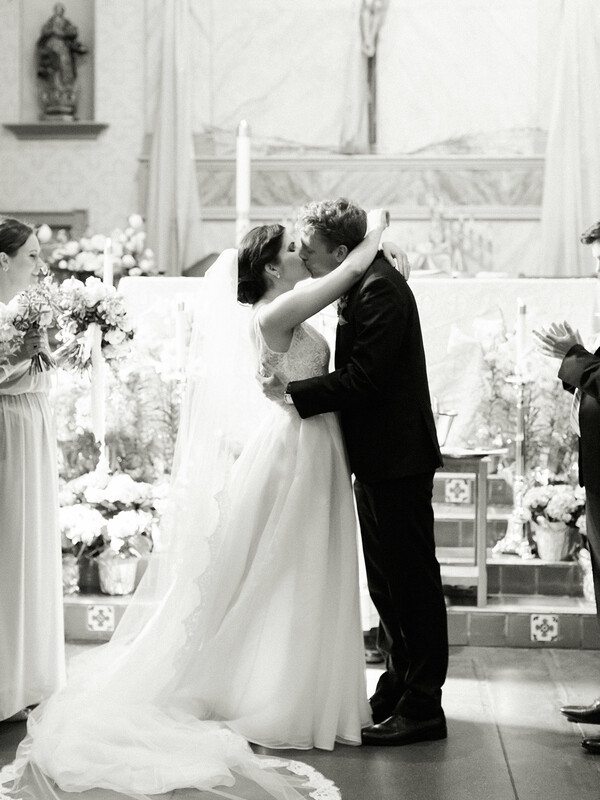 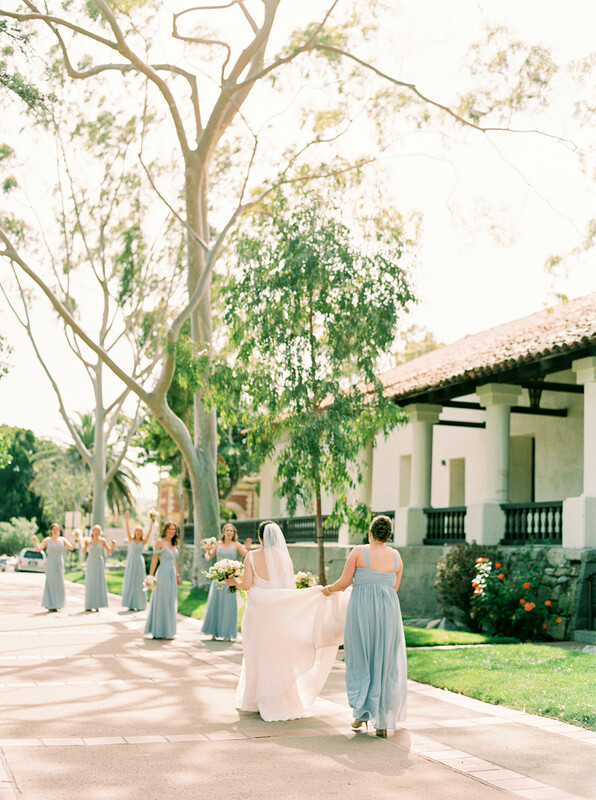 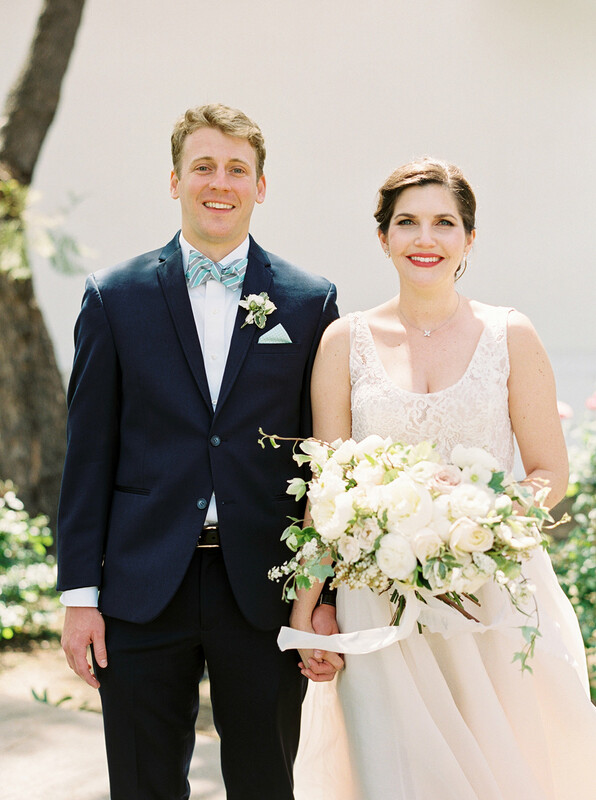 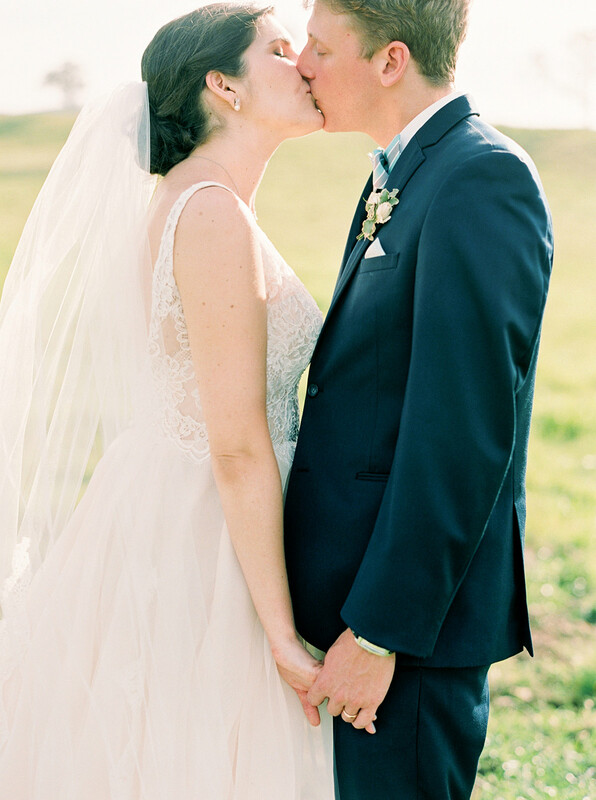 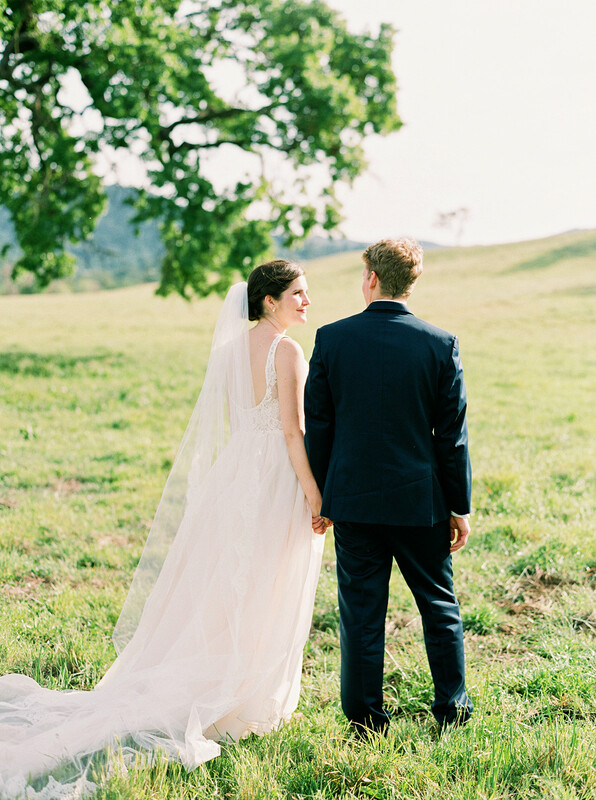 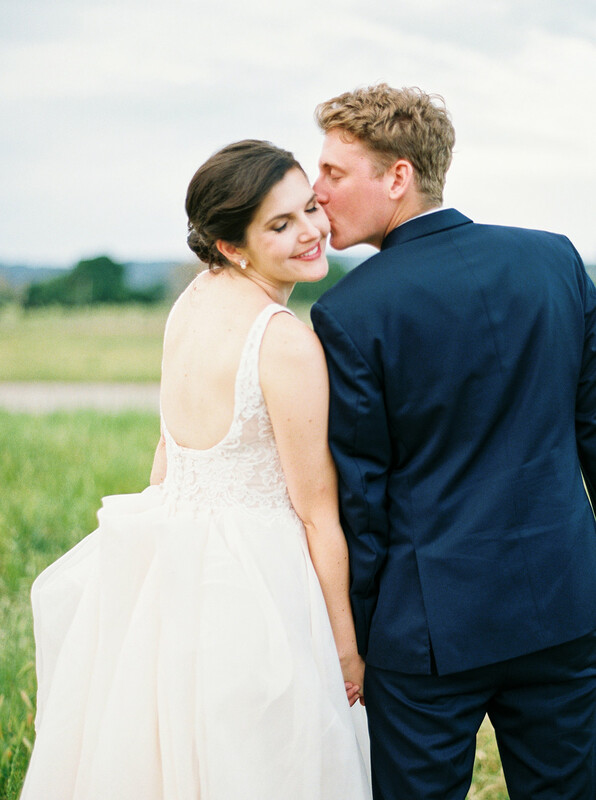 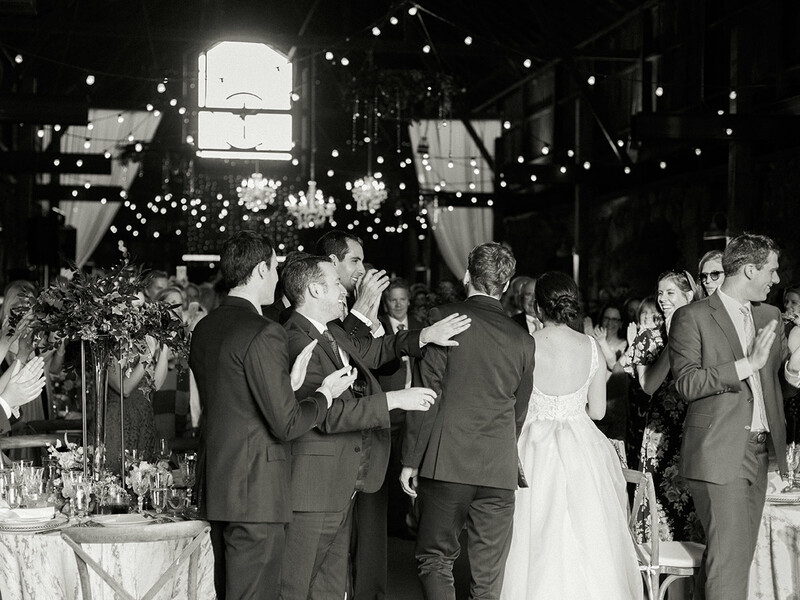 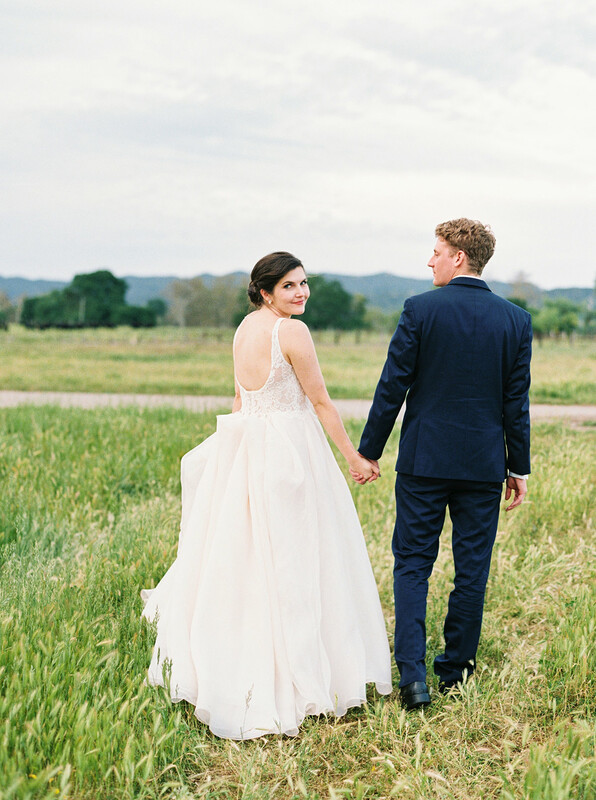 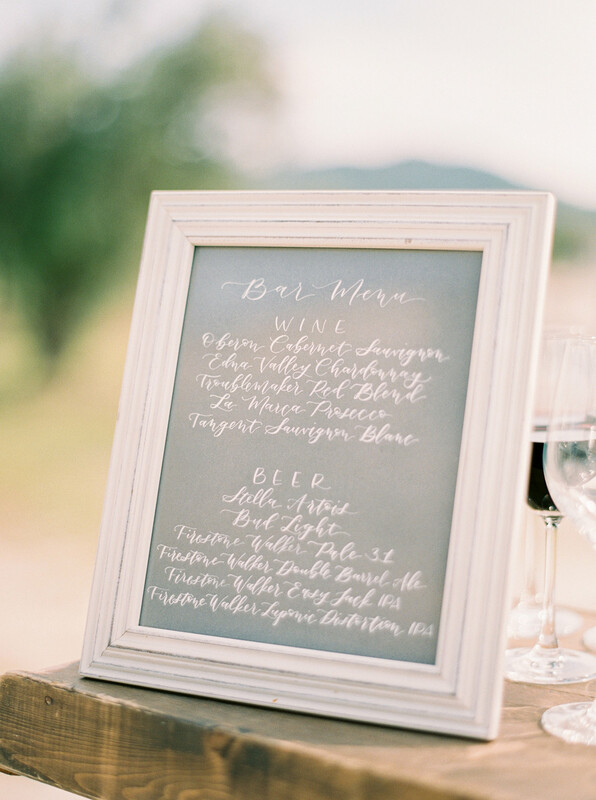 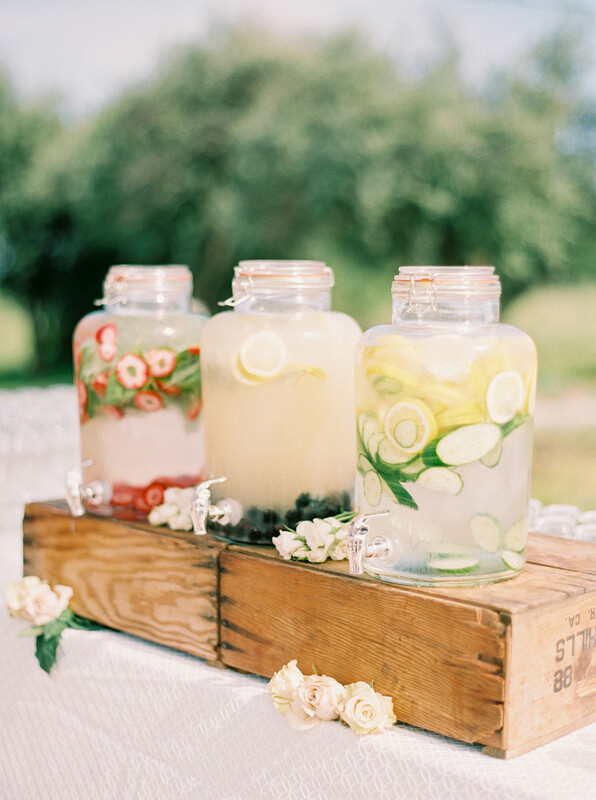 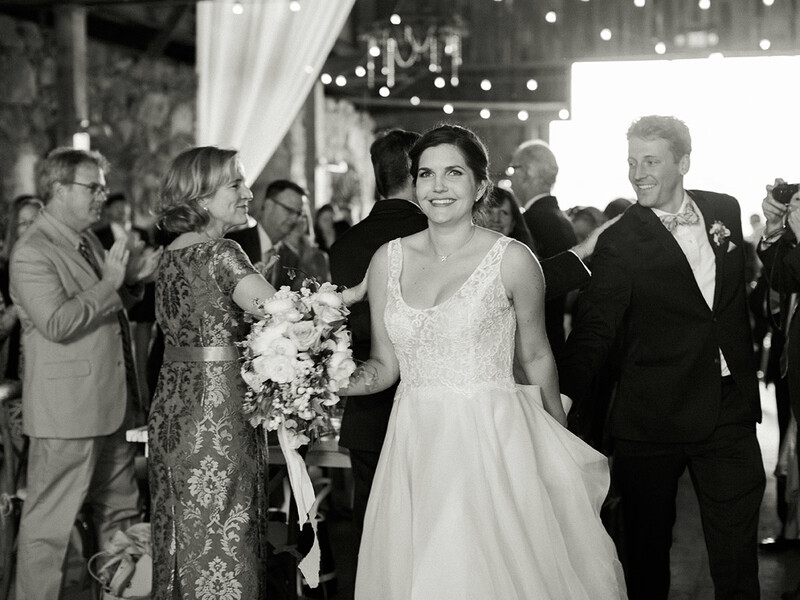 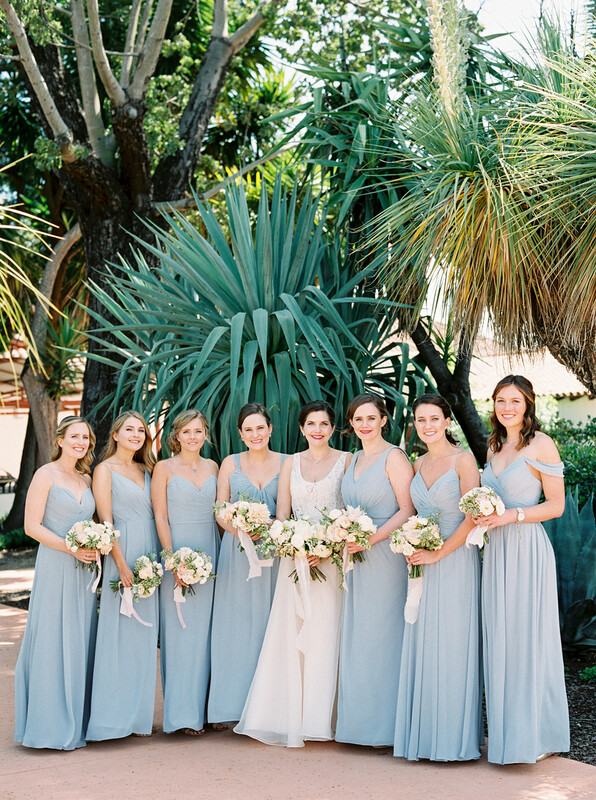 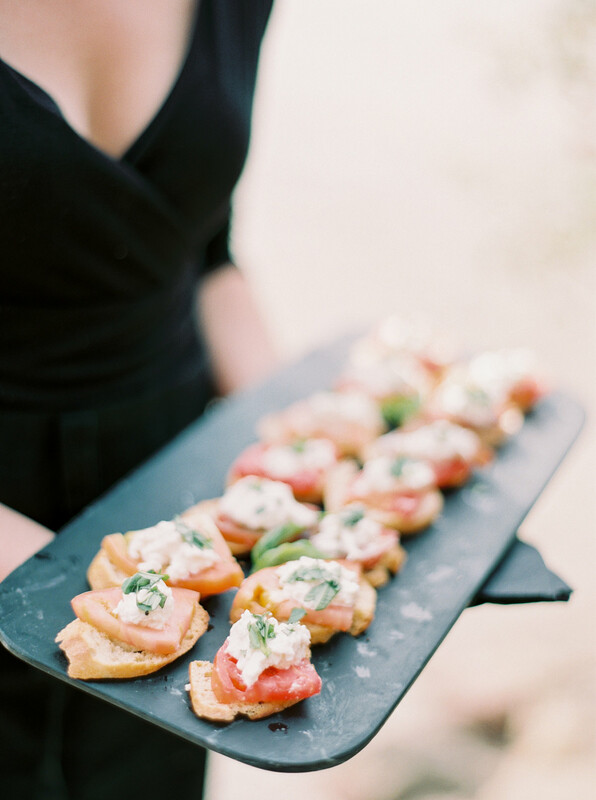 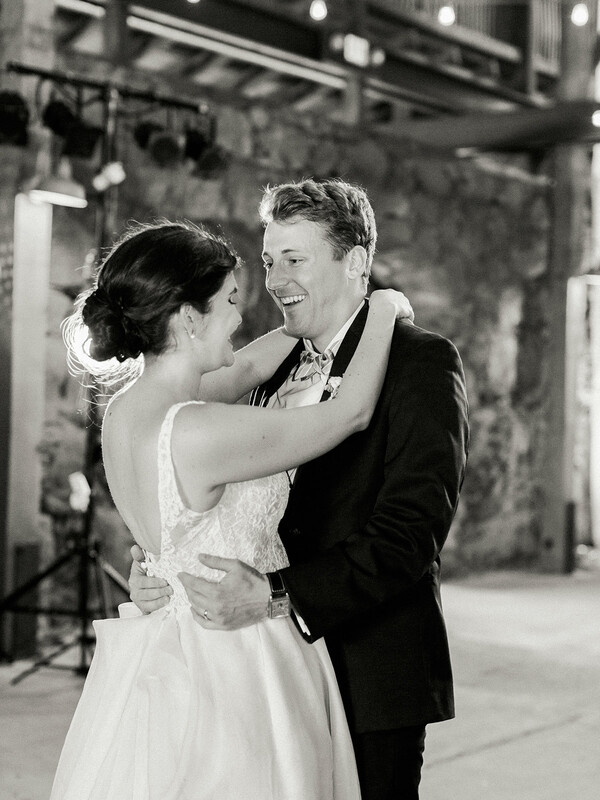 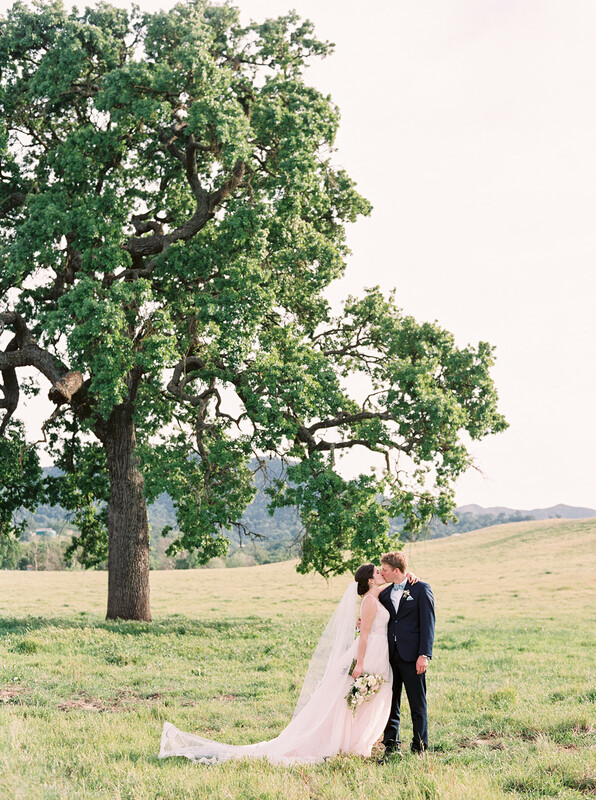 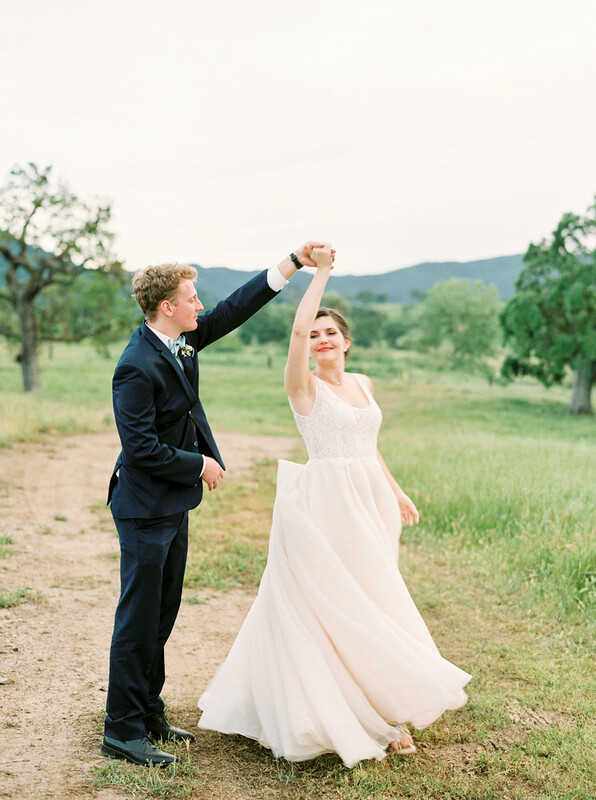 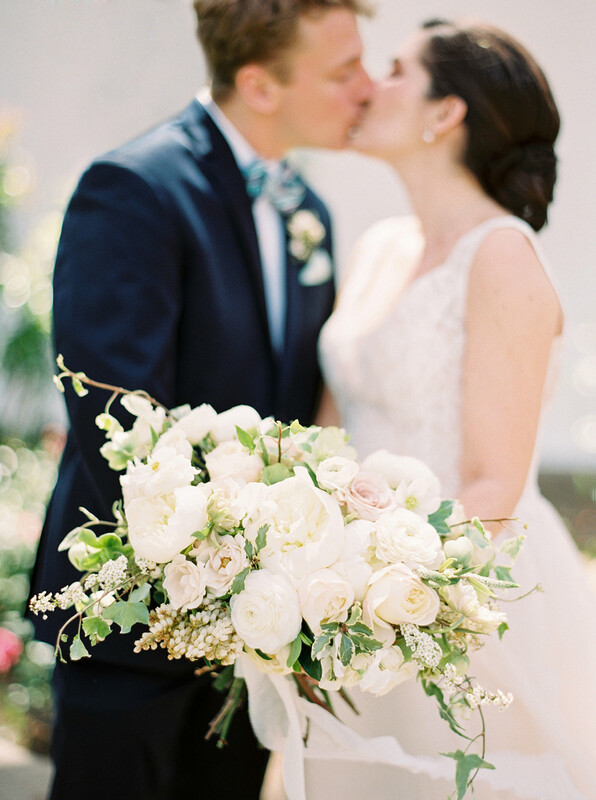 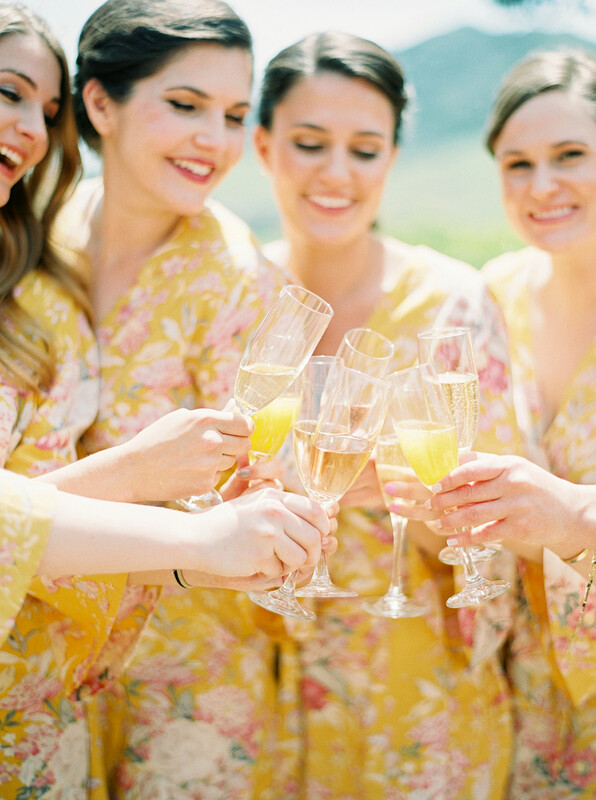 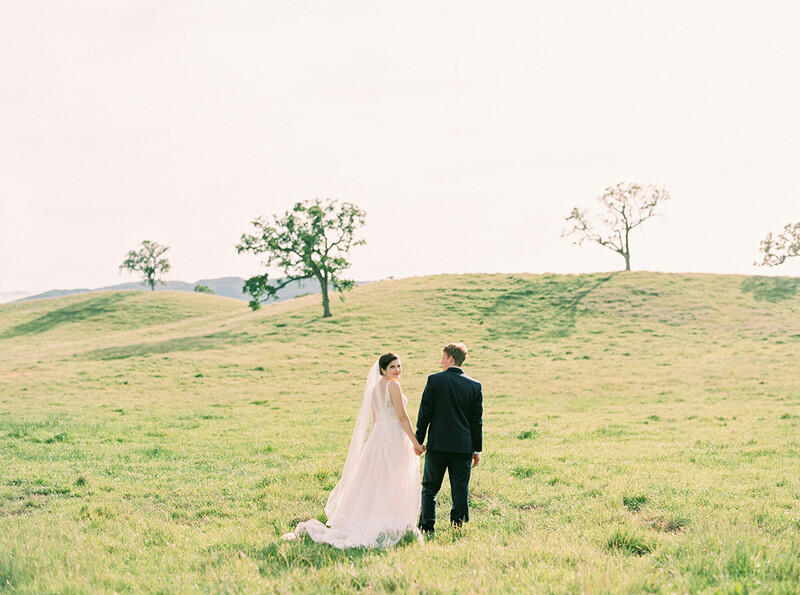 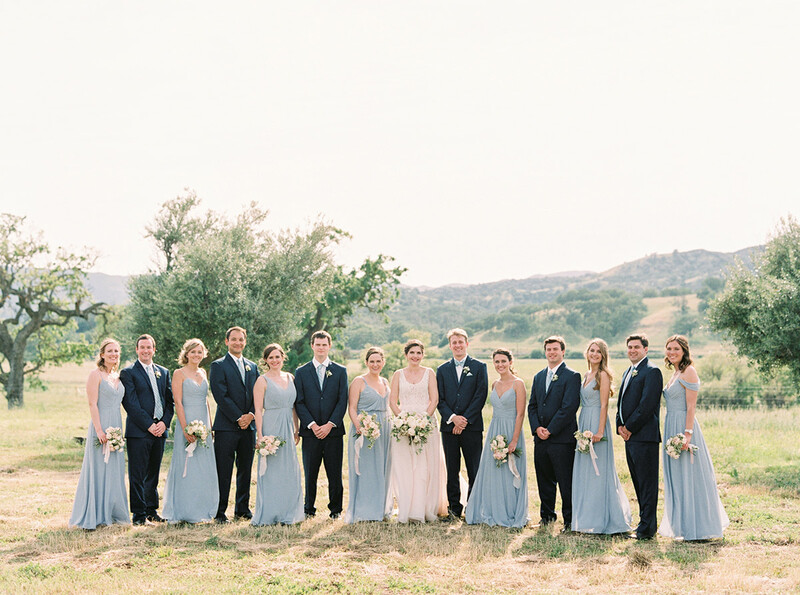 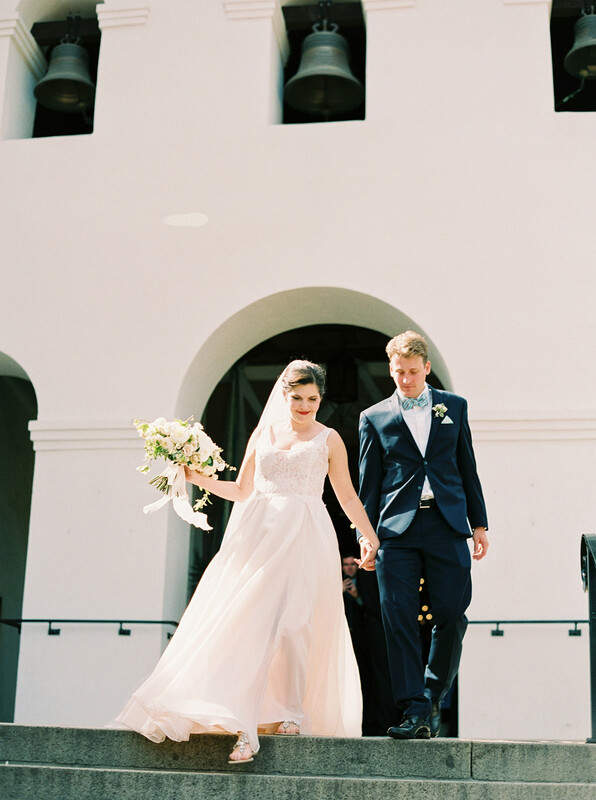 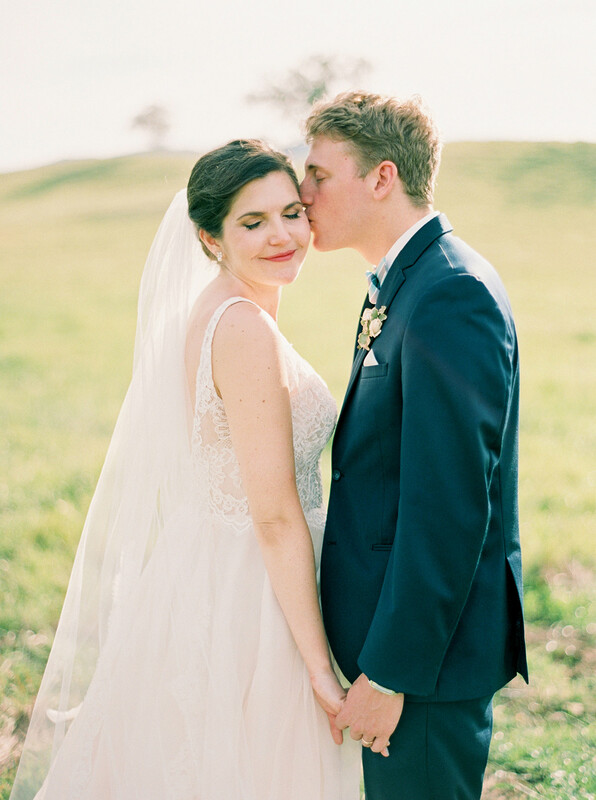 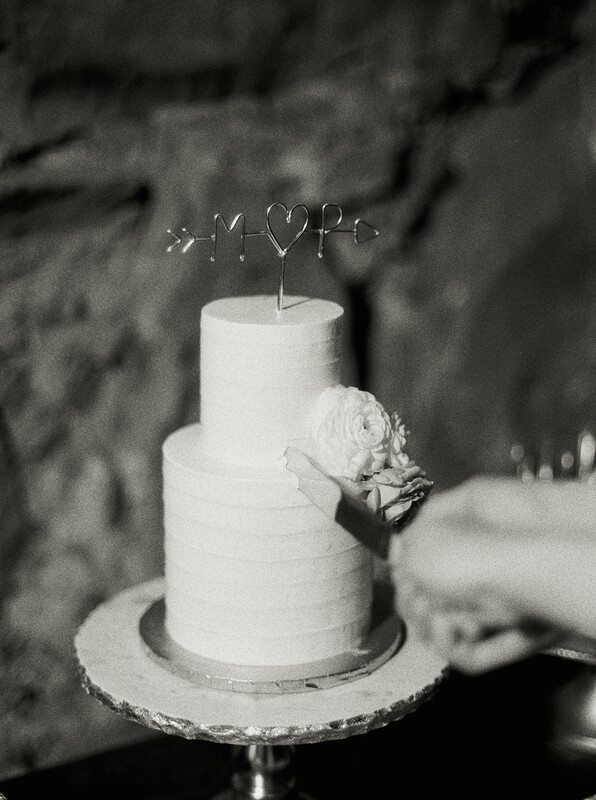 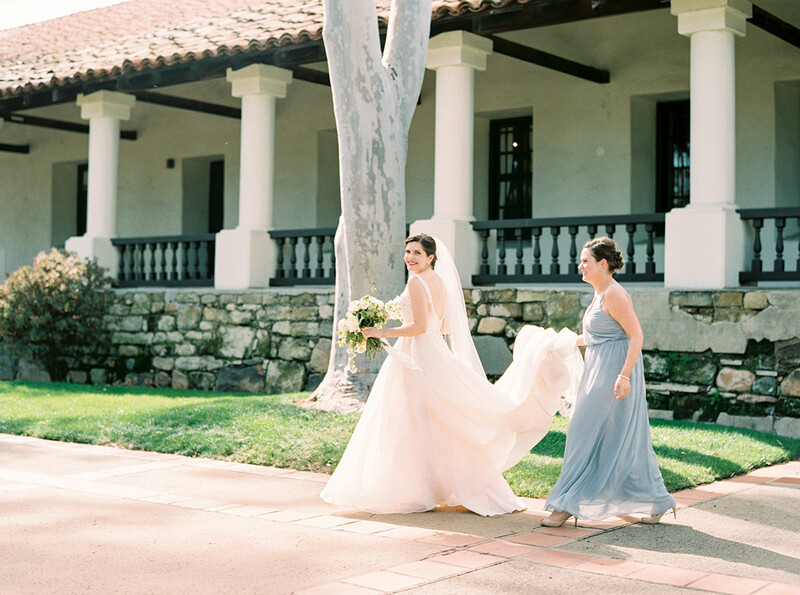 She put together an all-star team of vendors for a truly perfect day. 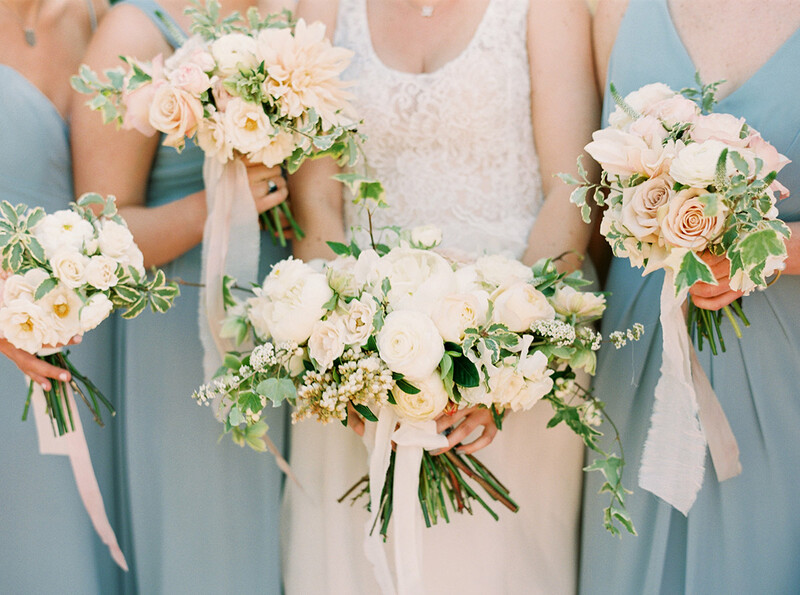 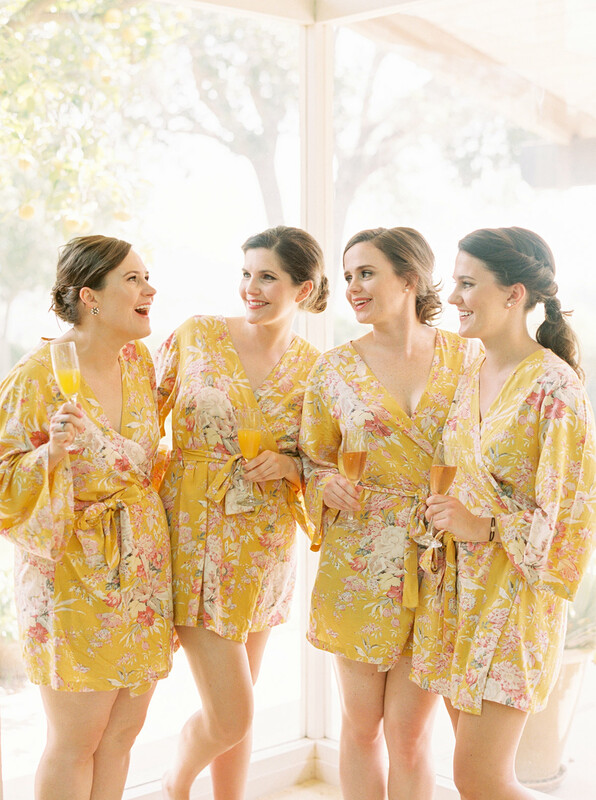 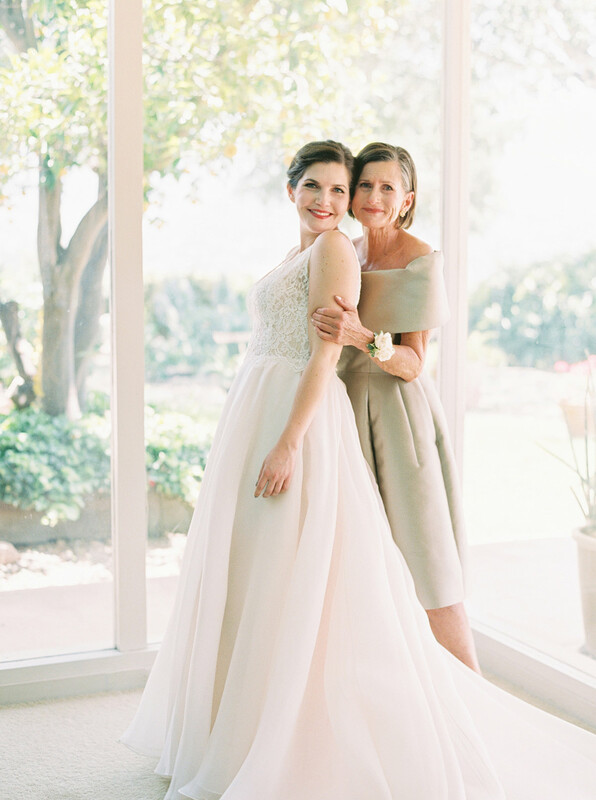 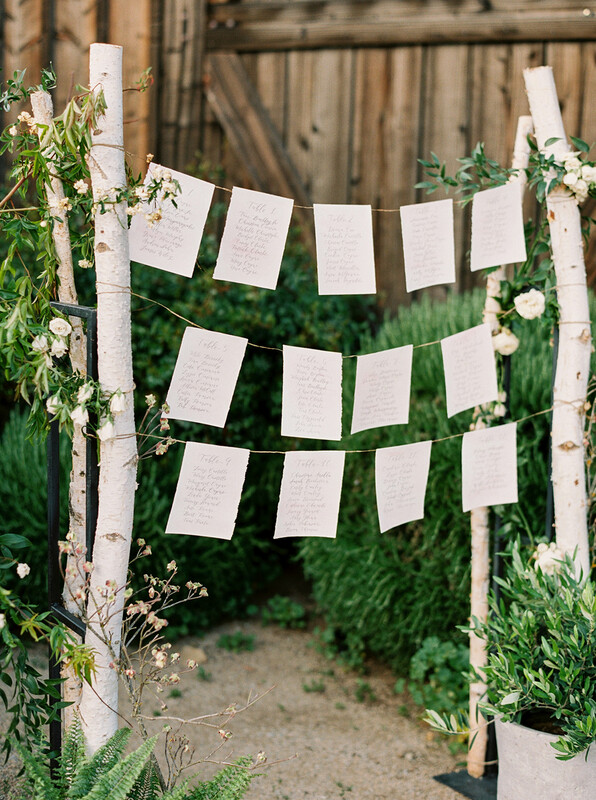 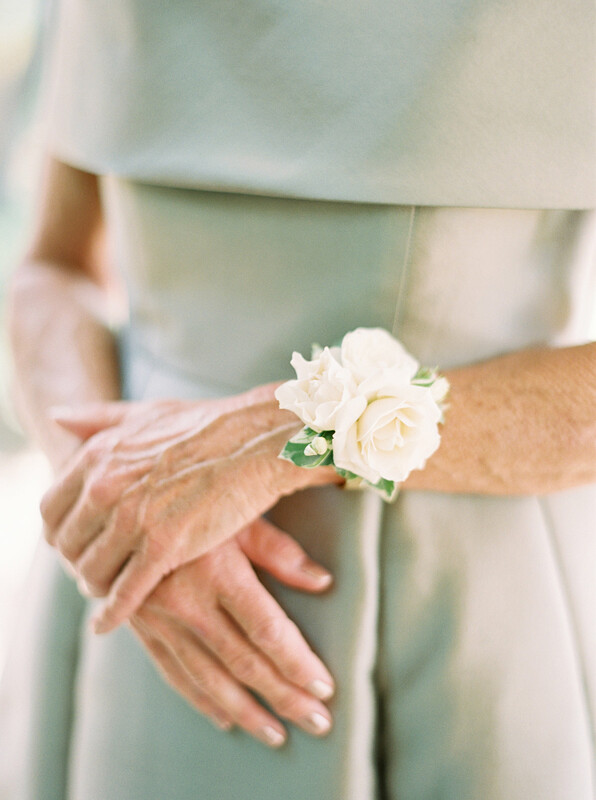 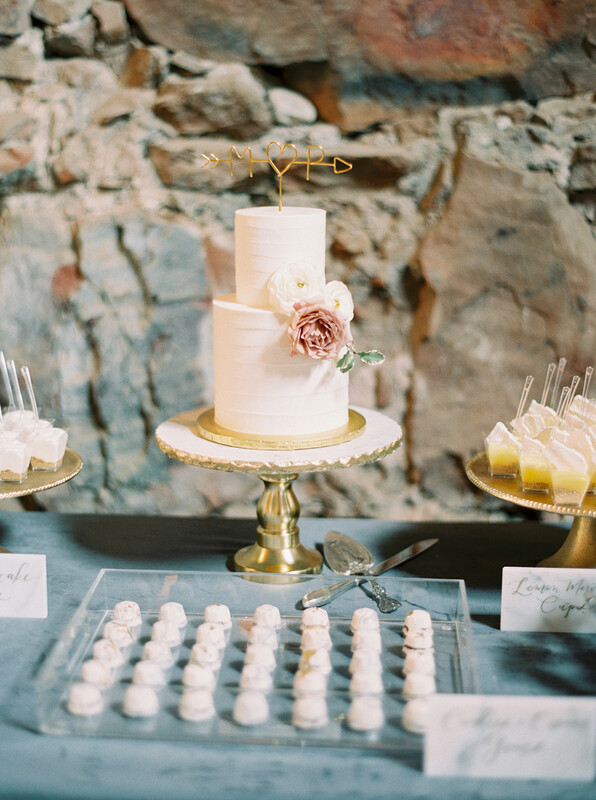 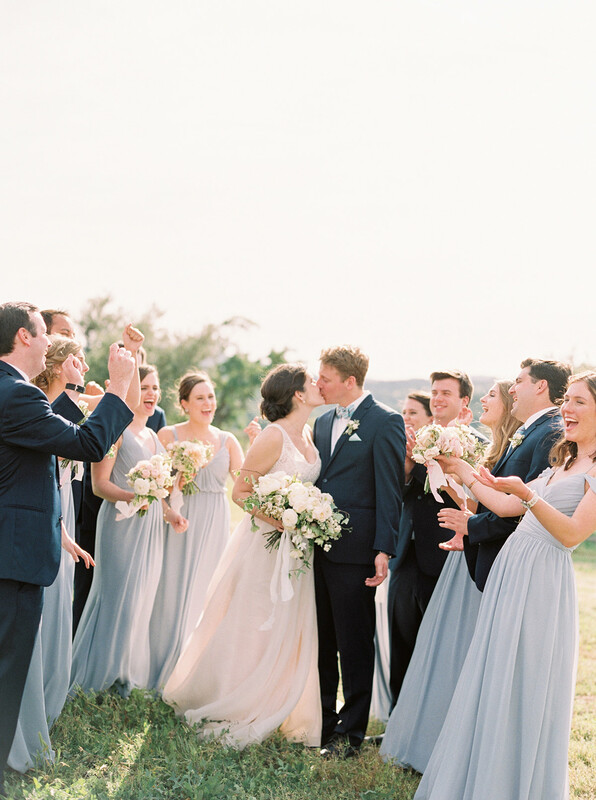 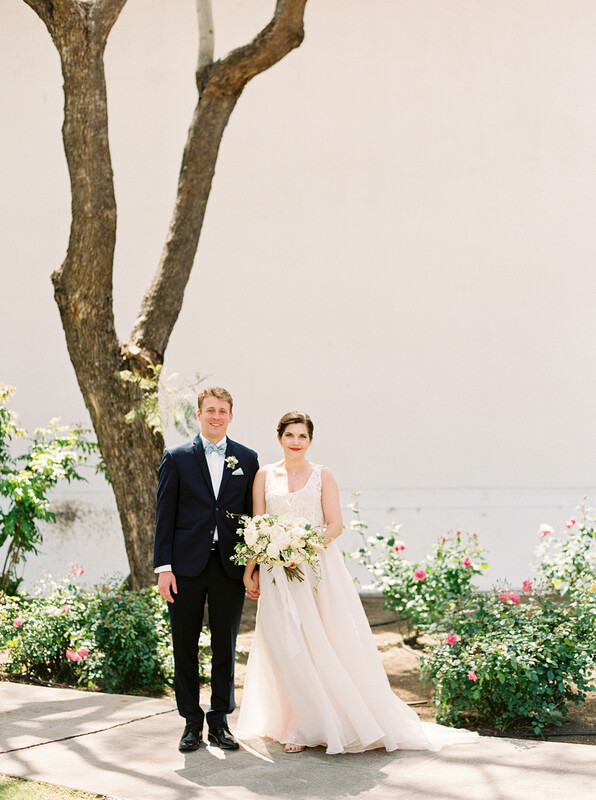 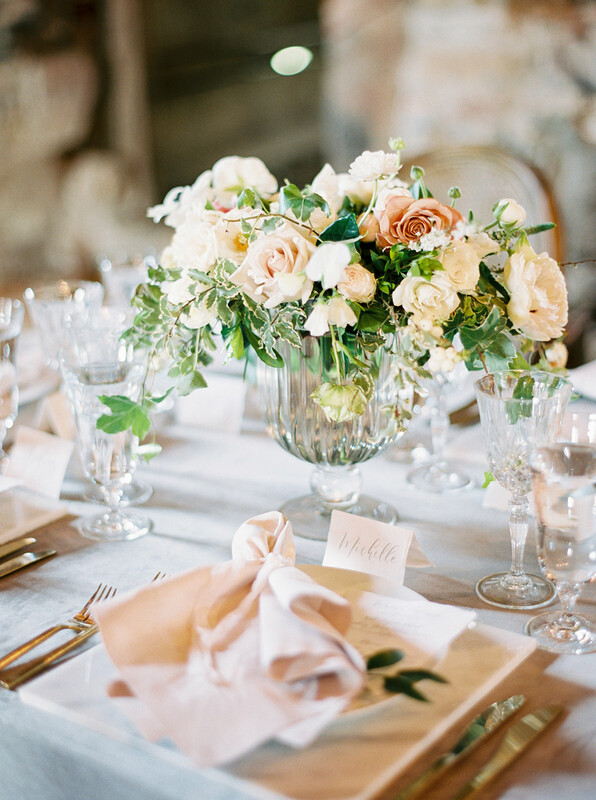 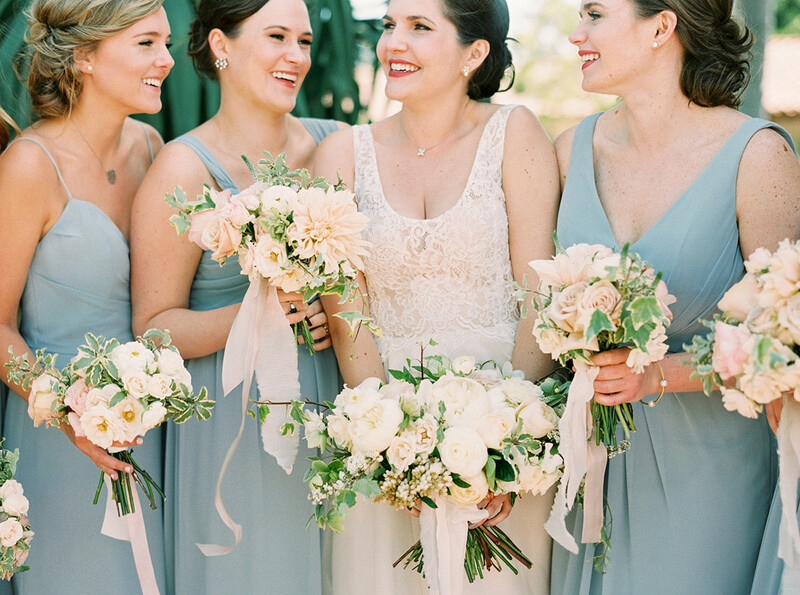 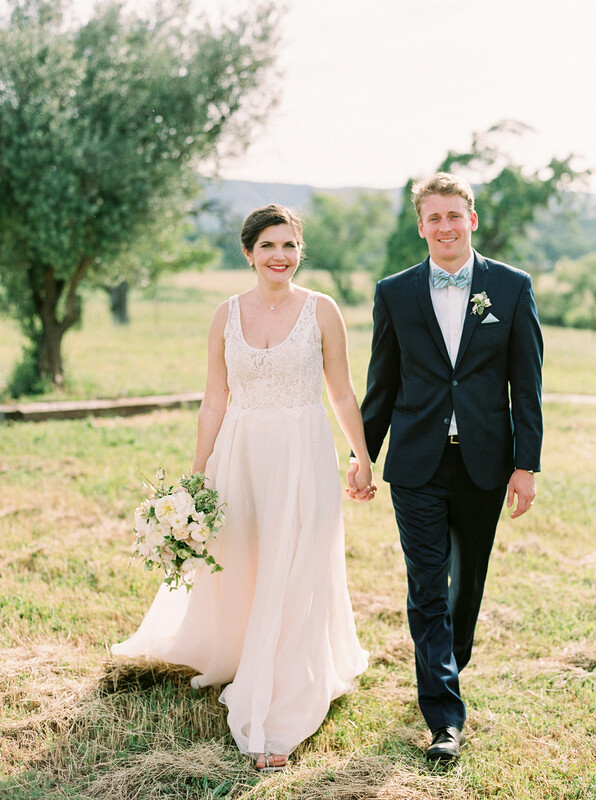 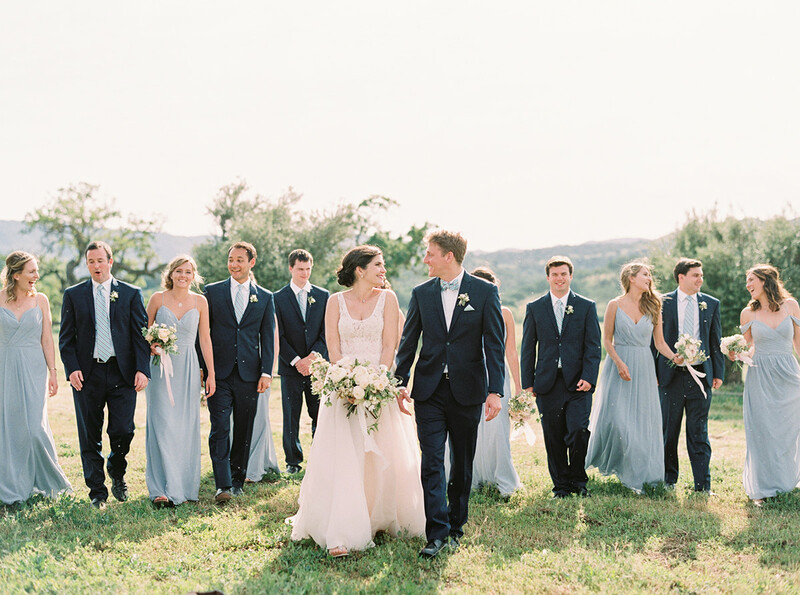 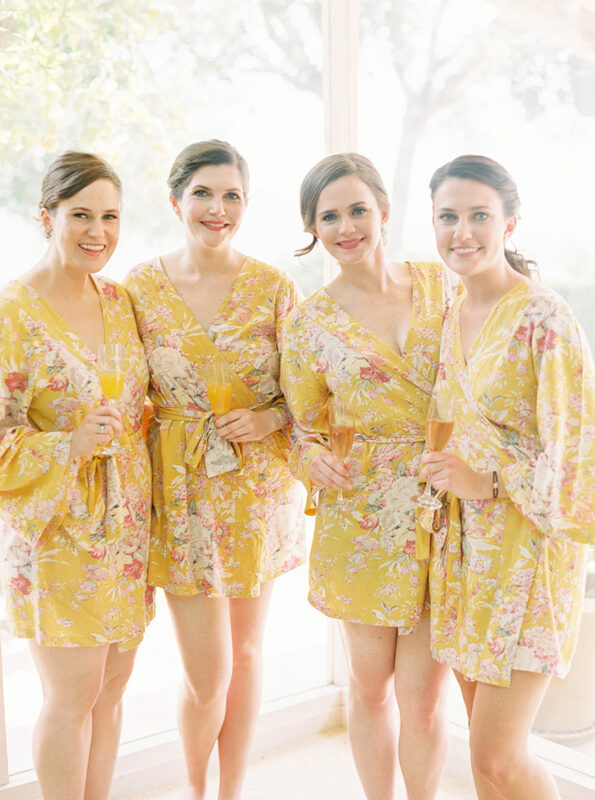 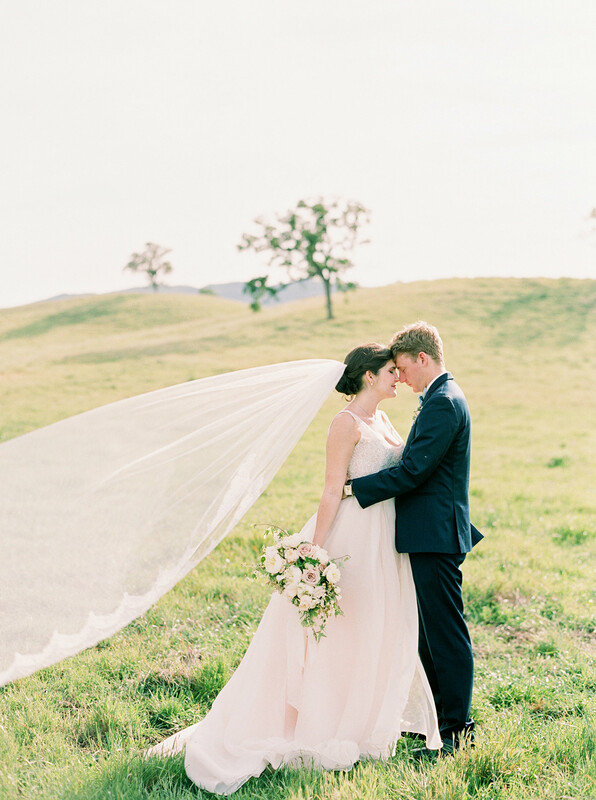 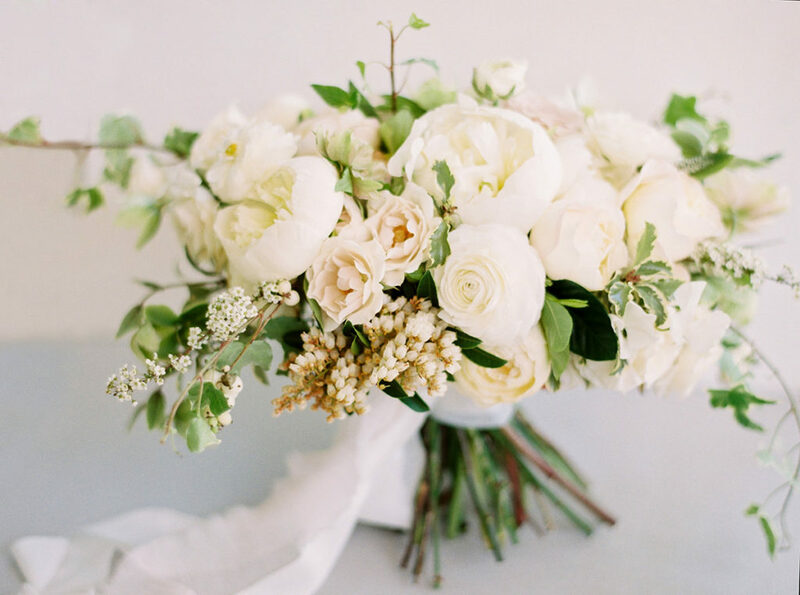 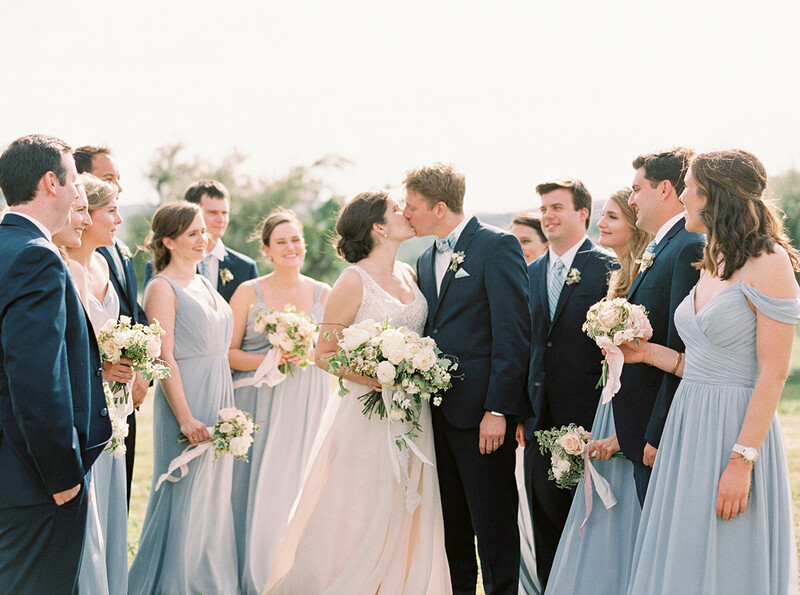 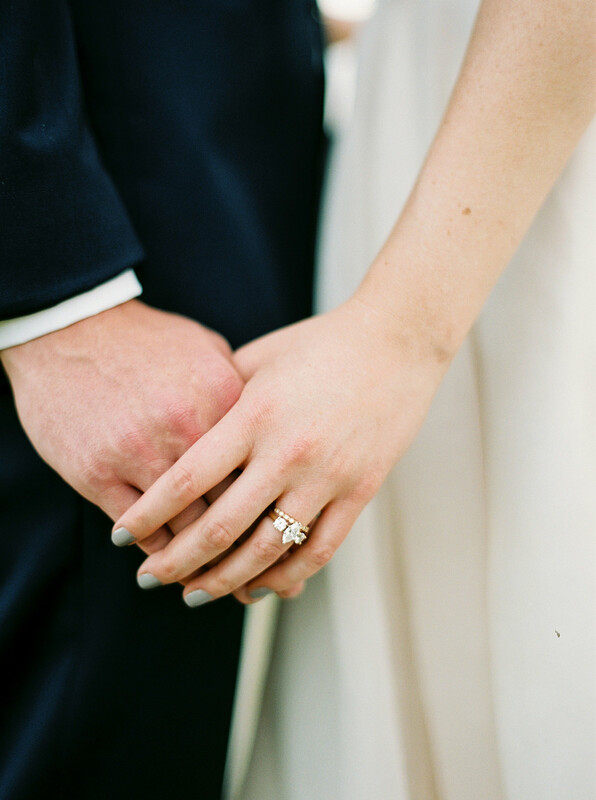 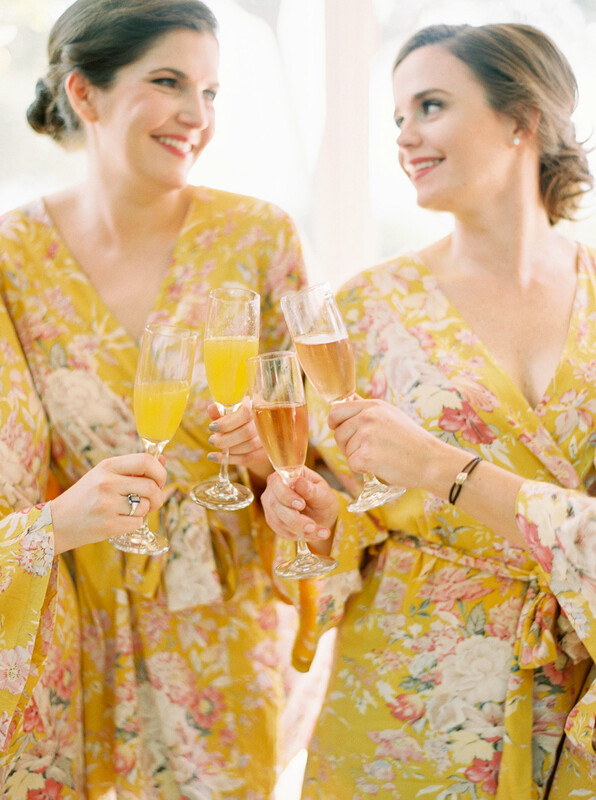 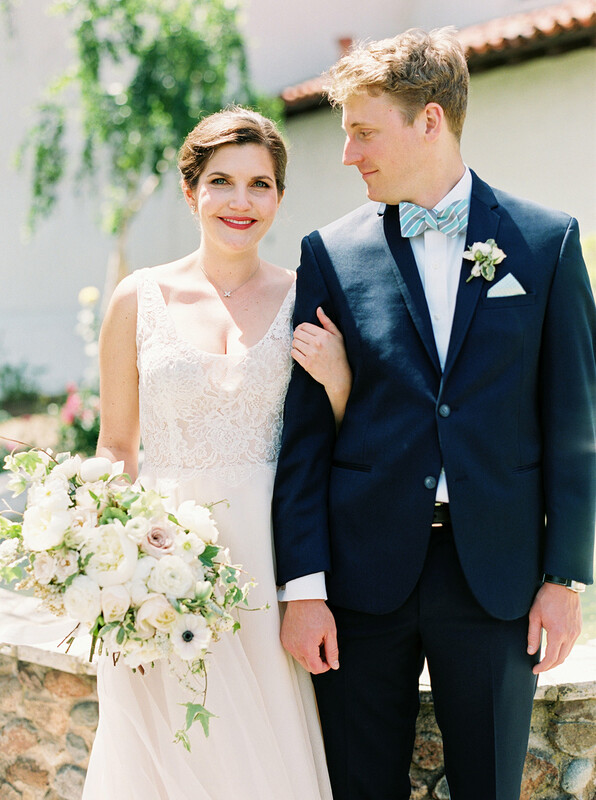 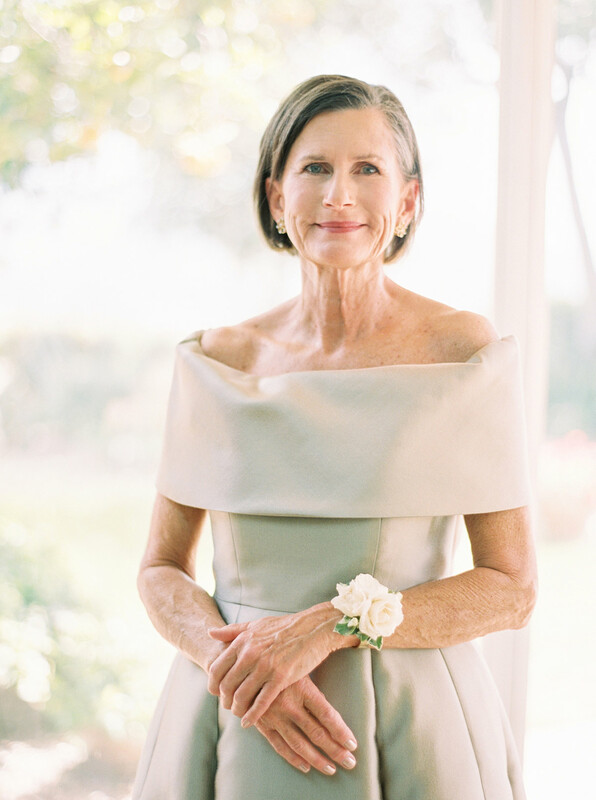 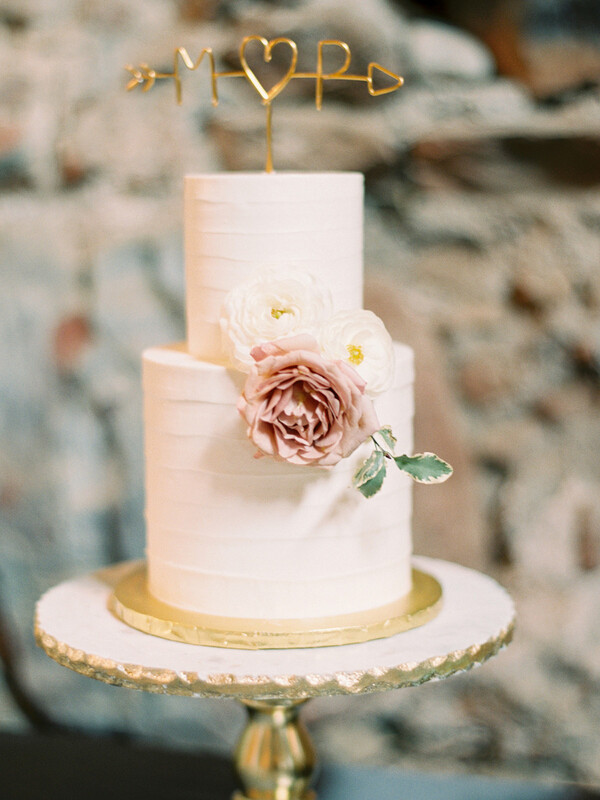 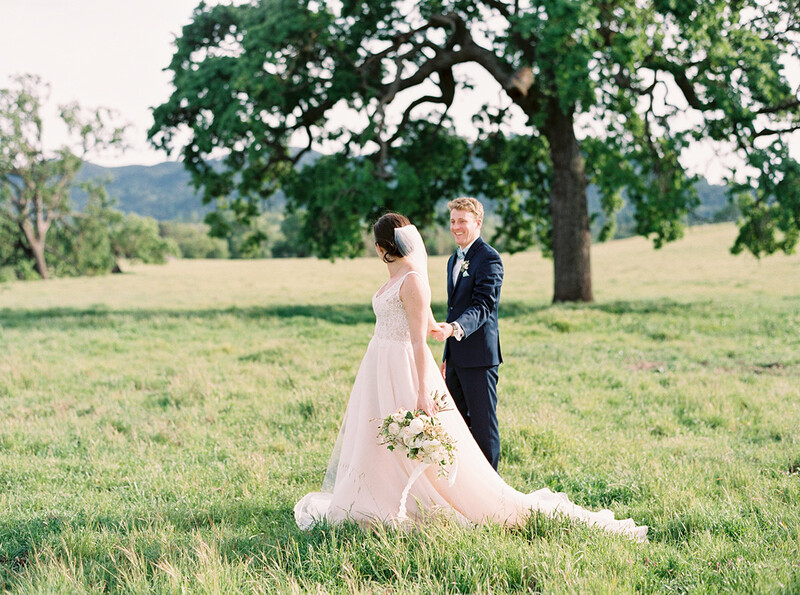 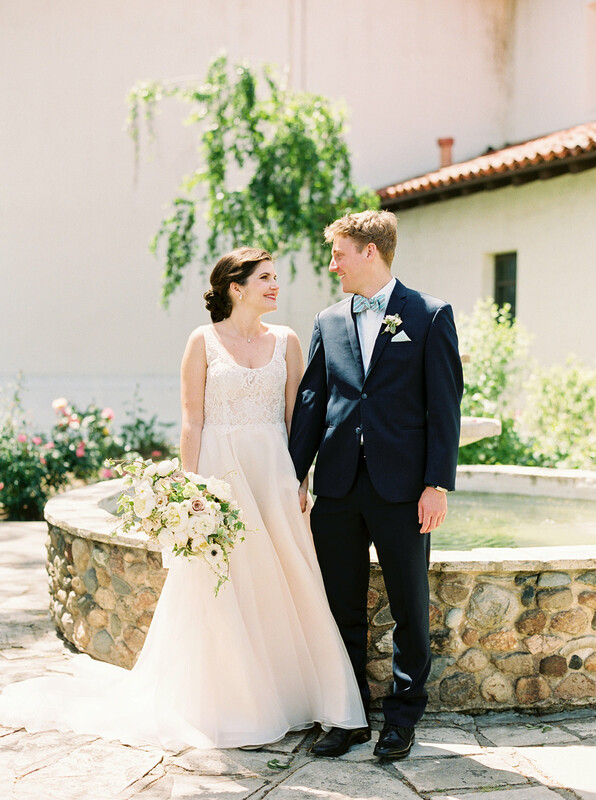 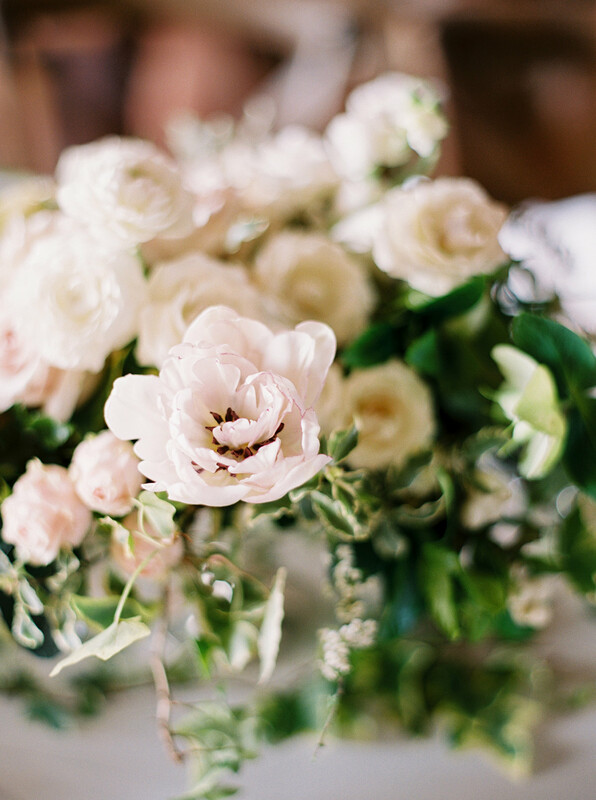 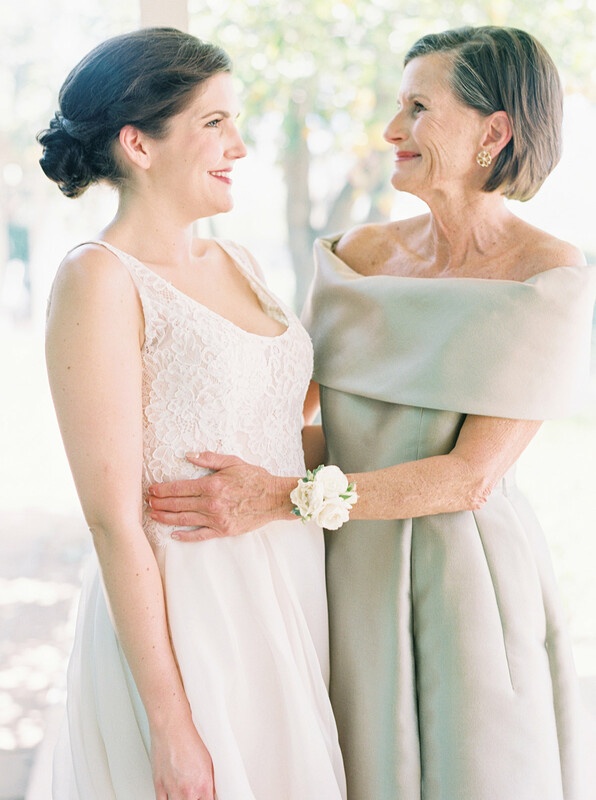 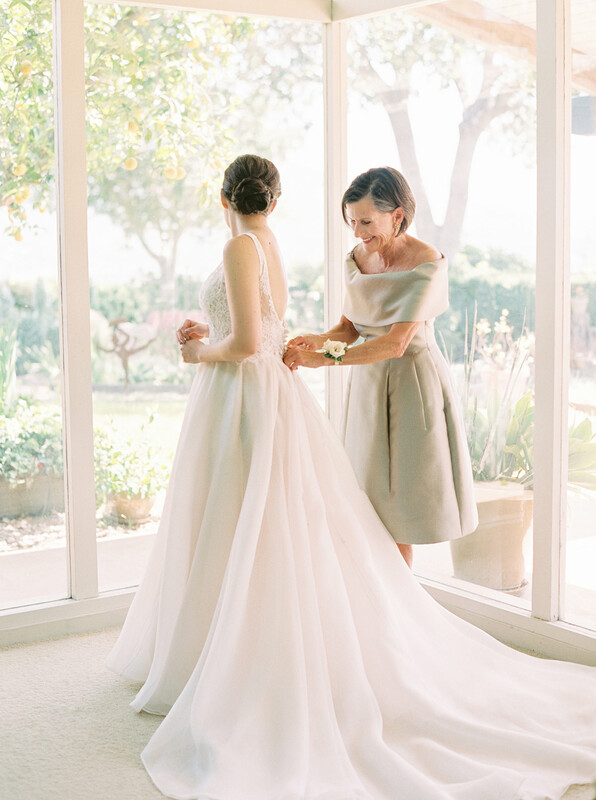 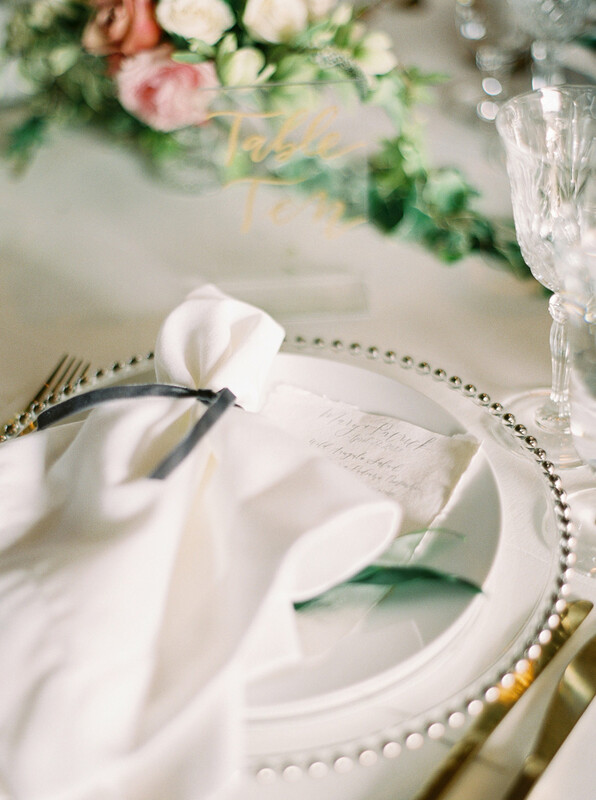 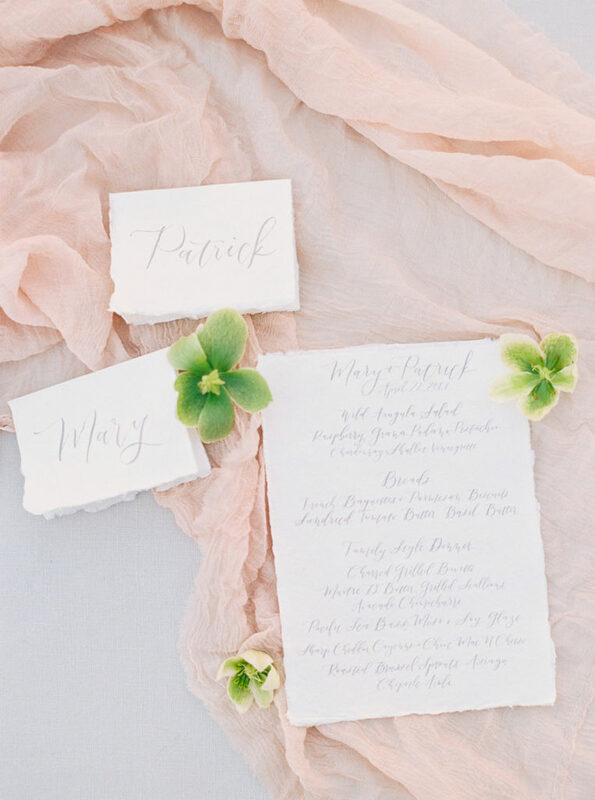 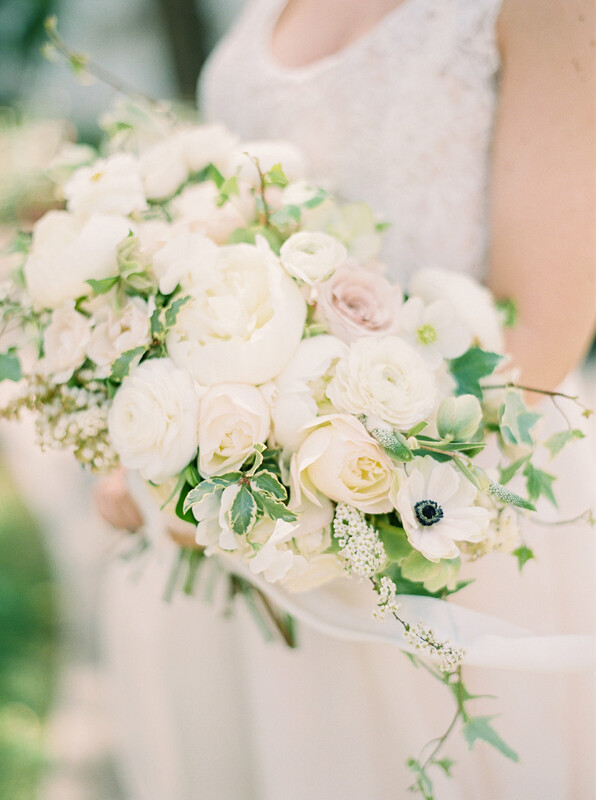 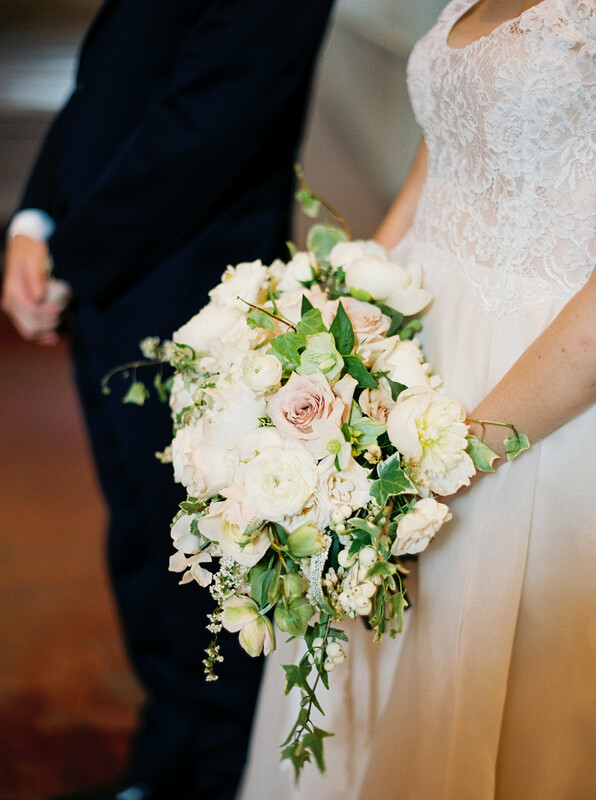 The color scheme for the wedding was delicate — blush, creams, touches of gold, etc. 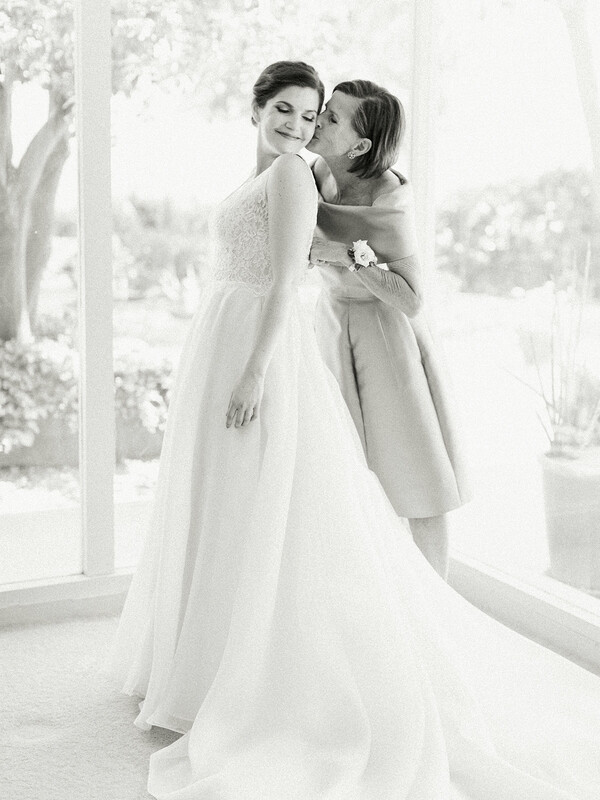 — which is exactly what I’m always drawn to. 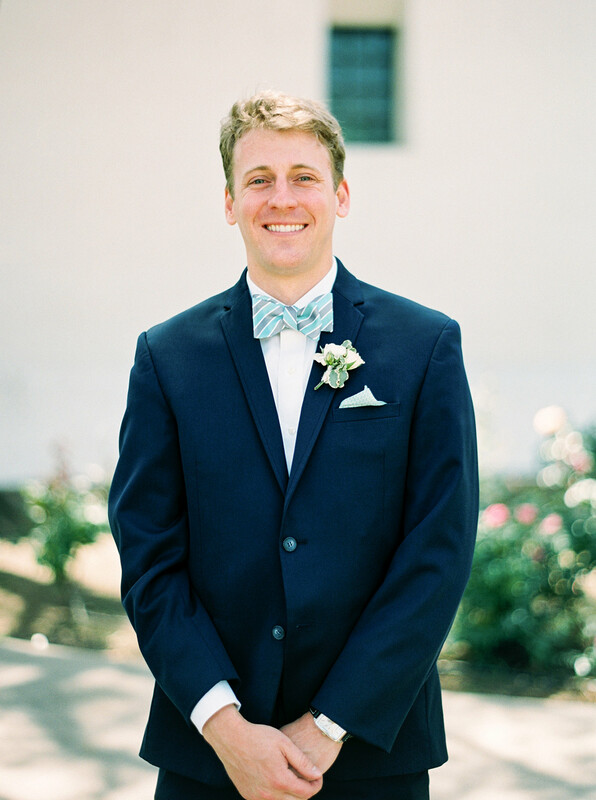 Patrick’s personal style, on the other hand, is quintessential preppy New England (I call his aesthetic “Easter brunch”). 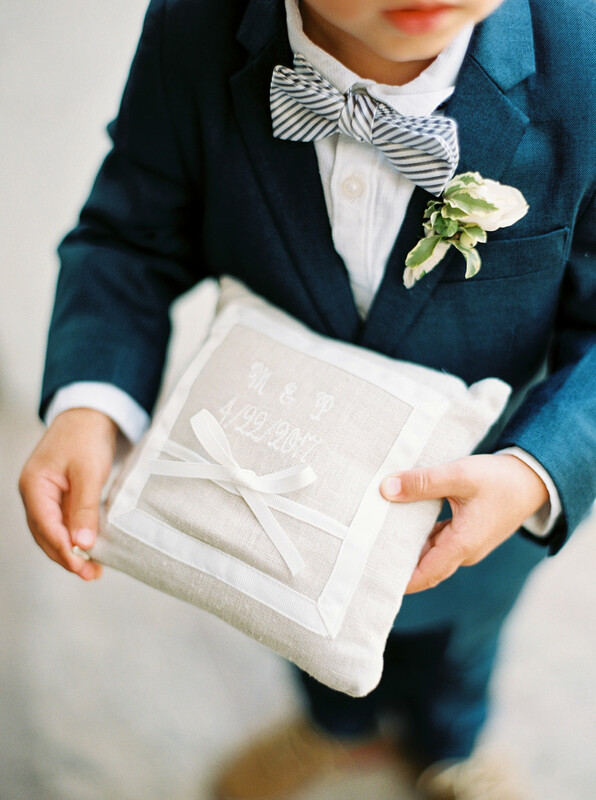 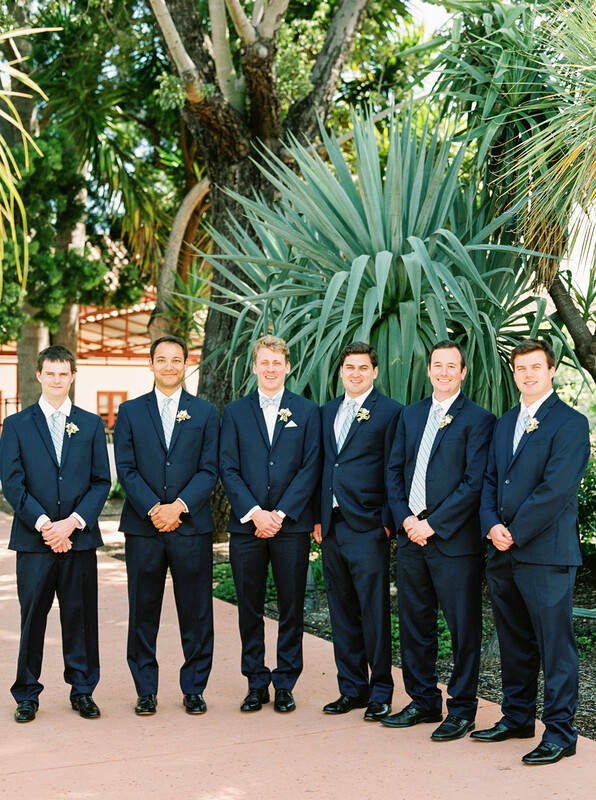 We met in the middle by giving the groomsmen bright ties and socks, and Patrick wore a nautical pocket square. 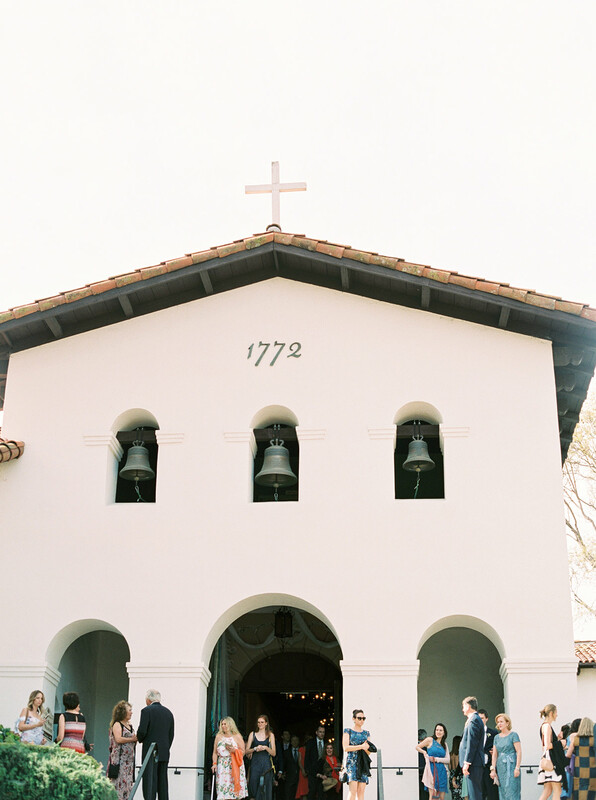 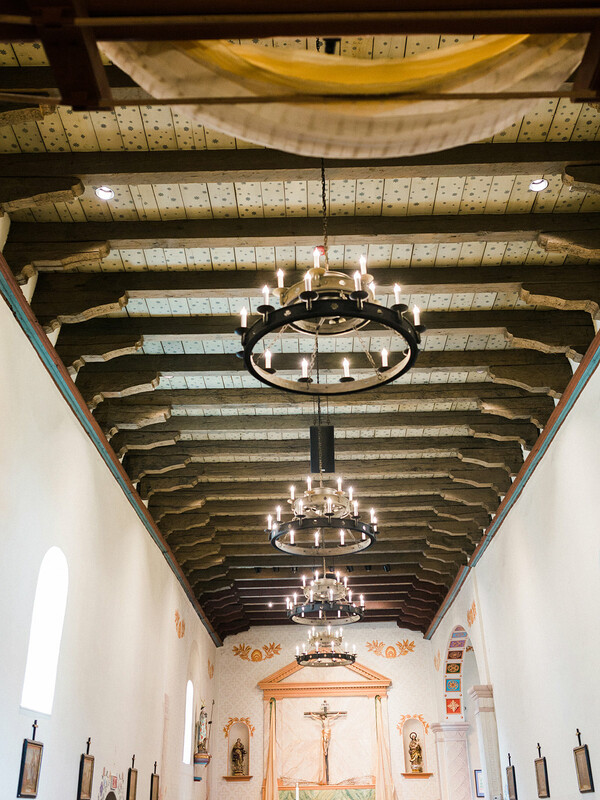 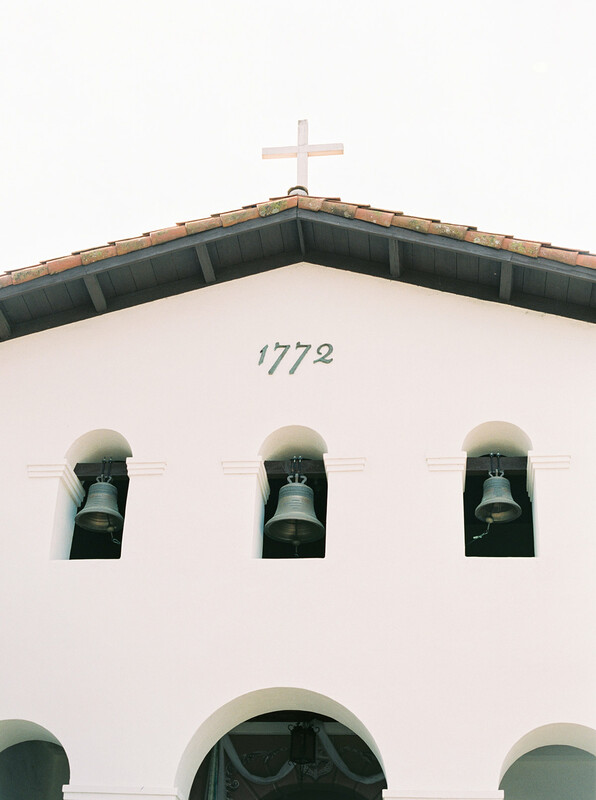 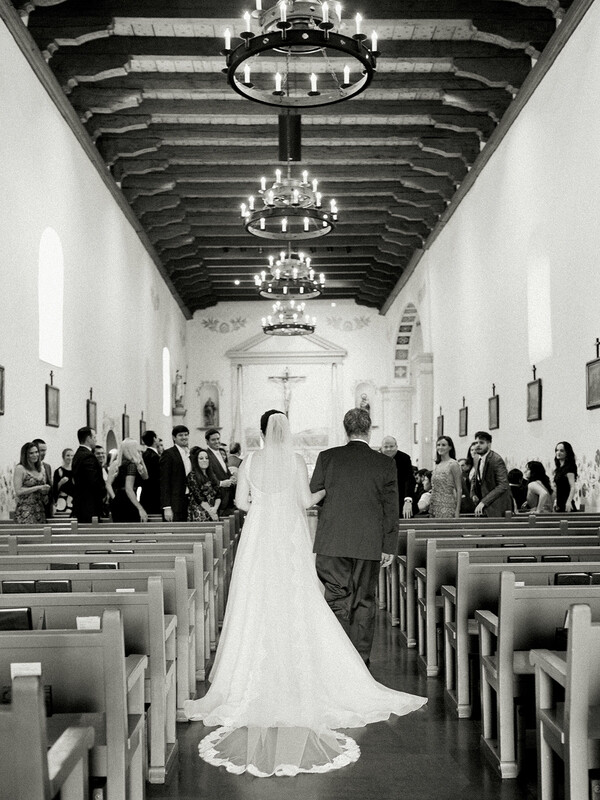 Our ceremony was right in the center of San Luis Obispo at the Old Mission, which is where my parents got married. 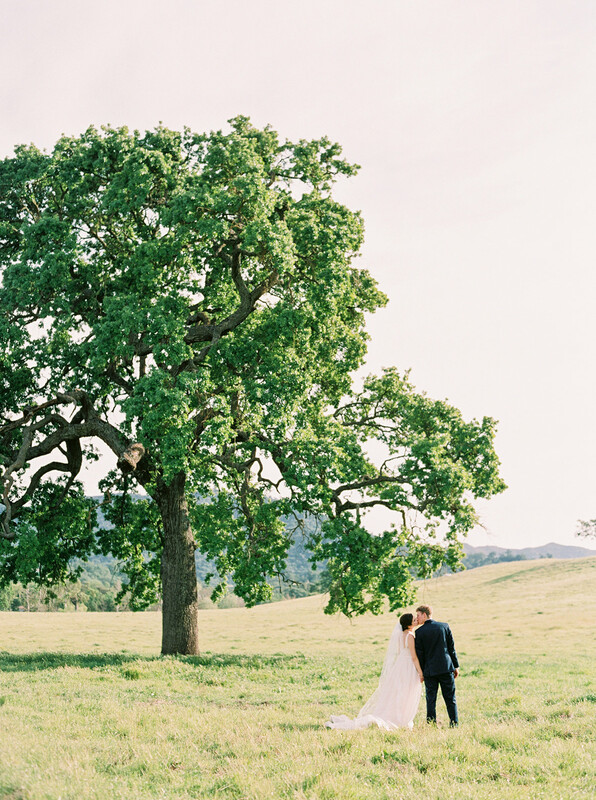 From there, we went to Santa Margarita Ranch, one of the oldest ranches in the state. 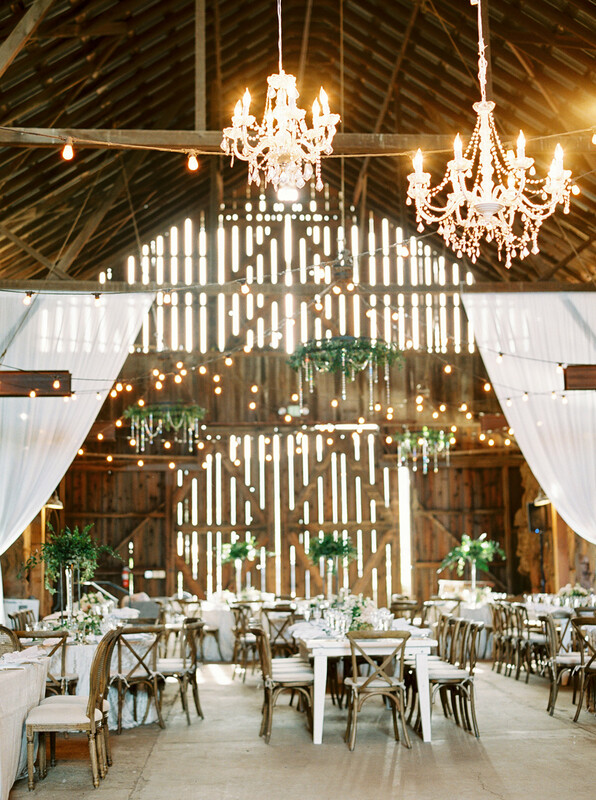 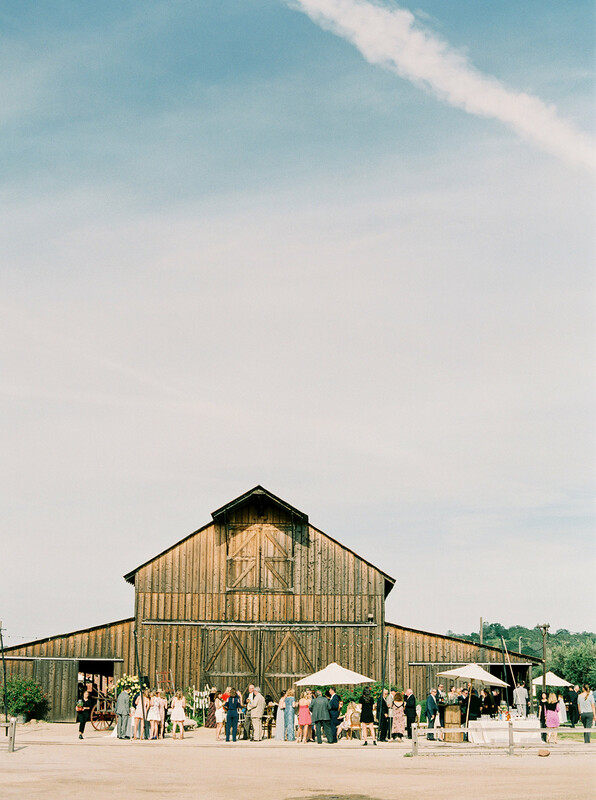 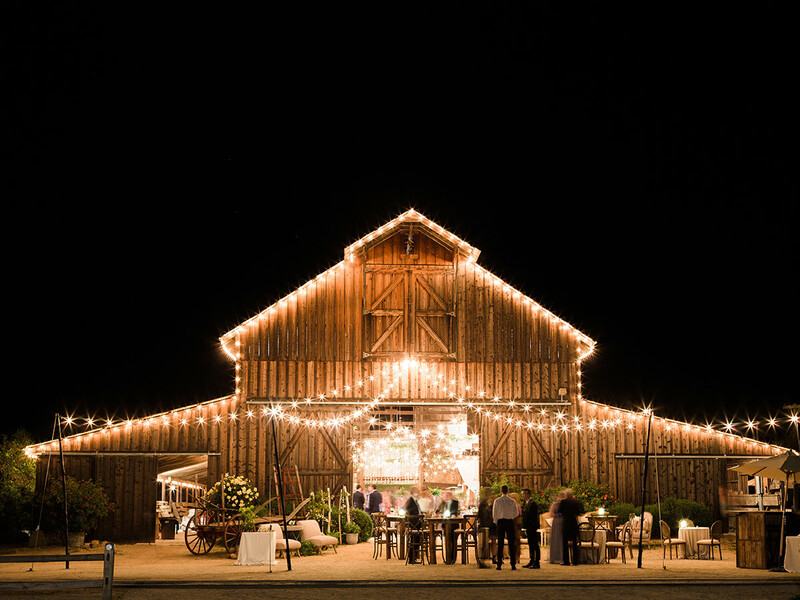 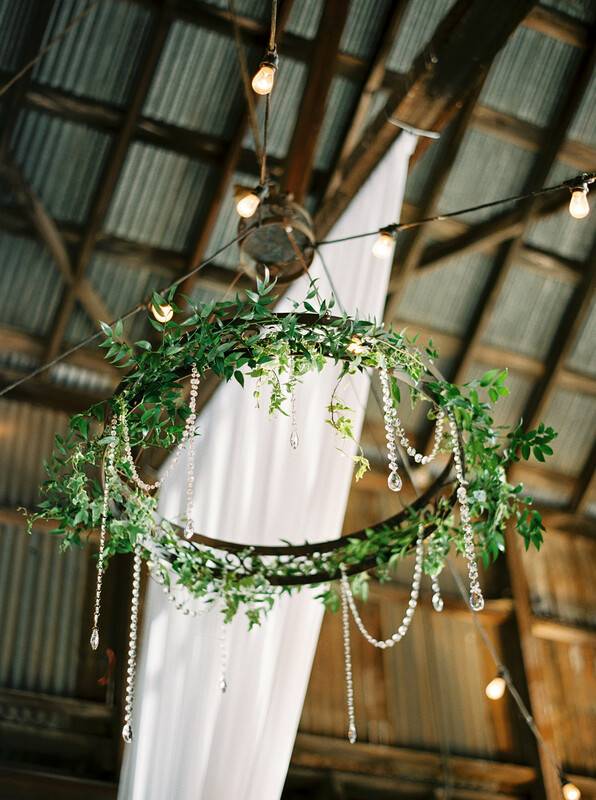 Our reception was in their barn, which was decked out with lush foliage, flowers, chandeliers, and lounge areas. 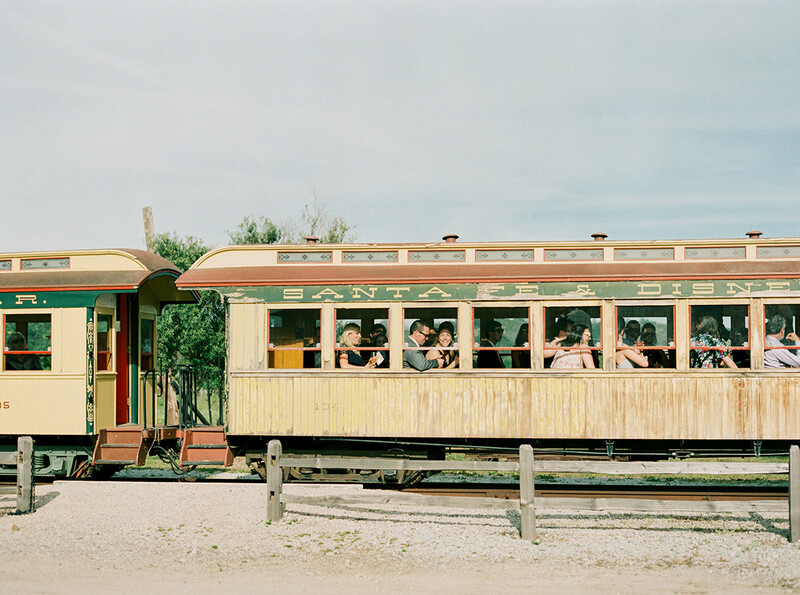 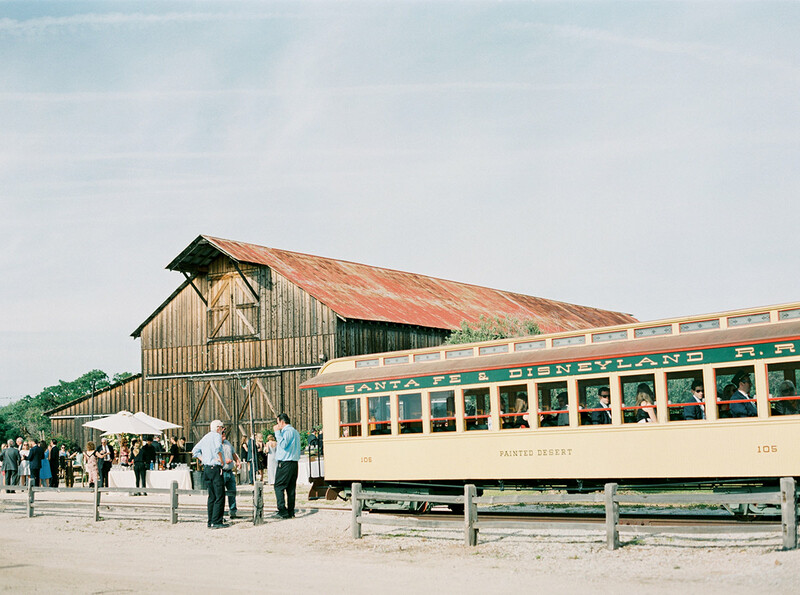 We arranged for the ranch’s historic train to take guests around the gorgeous property during cocktail hour. 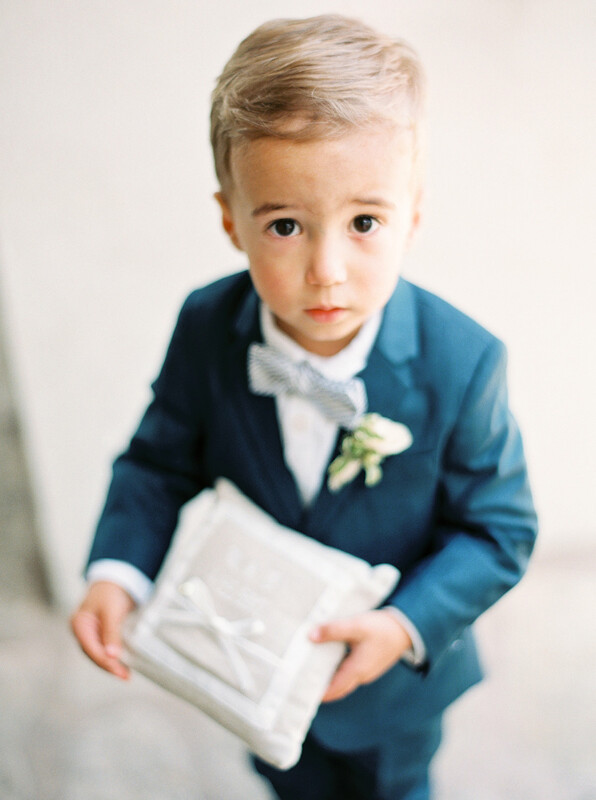 It was a huge hit, especially with our precious ring bearer, who probably rode it at least three times!